I’ve made it to that mid-point in my gardening season. 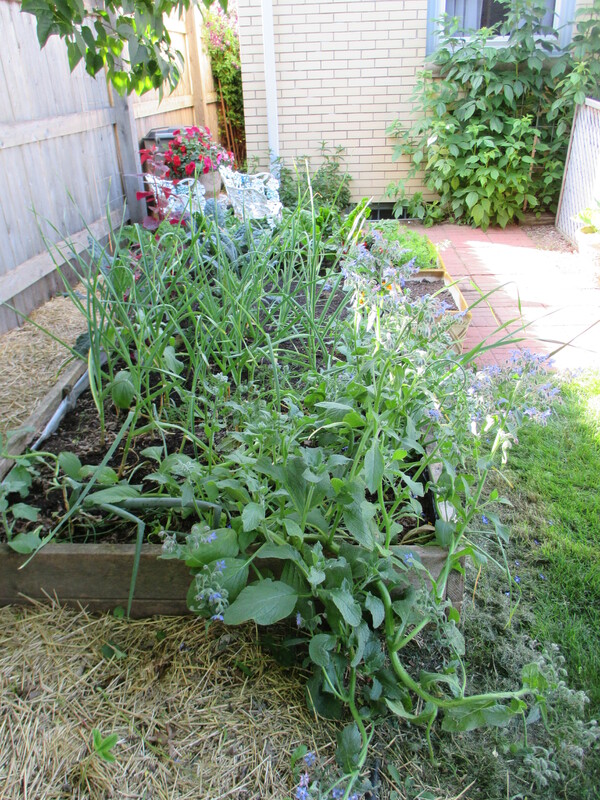 Cool weather crops are done and warm weather crops aren’t really ready yet. 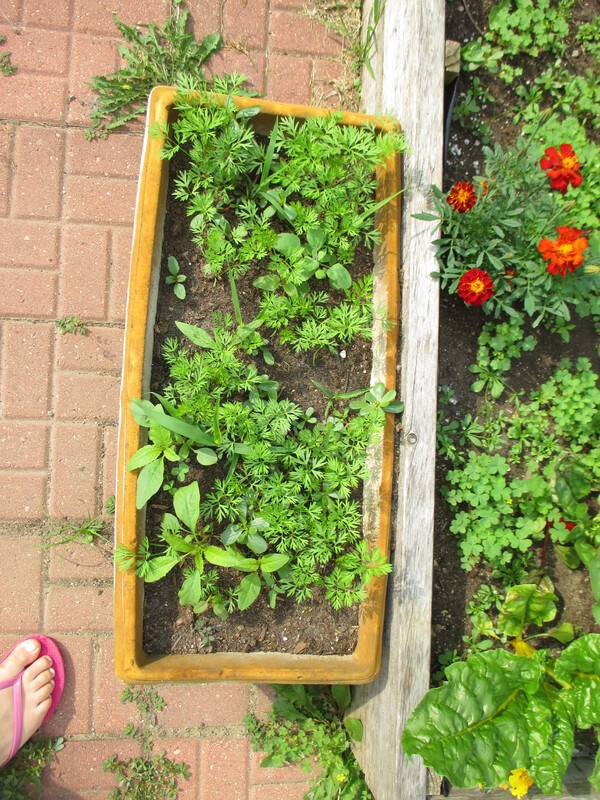 I do still have lettuces and of course, herbs. But that’s about it for the next few weeks. 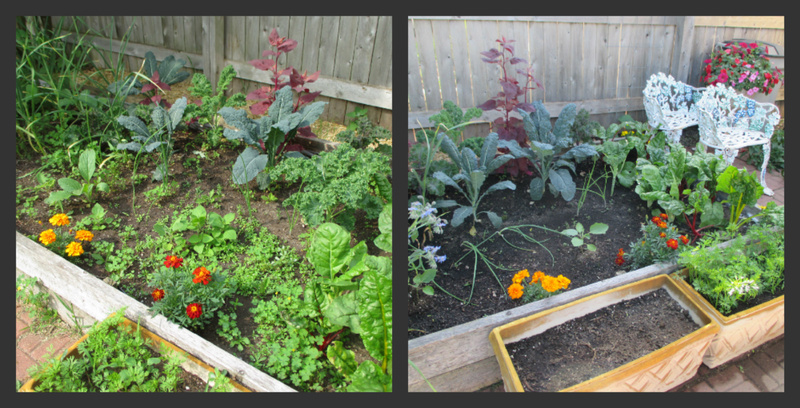 It’s been a busy June/early July and I haven’t been able to keep up with work in the garden. Now I have a few weeks where I can put in the time and really get things fixed up. 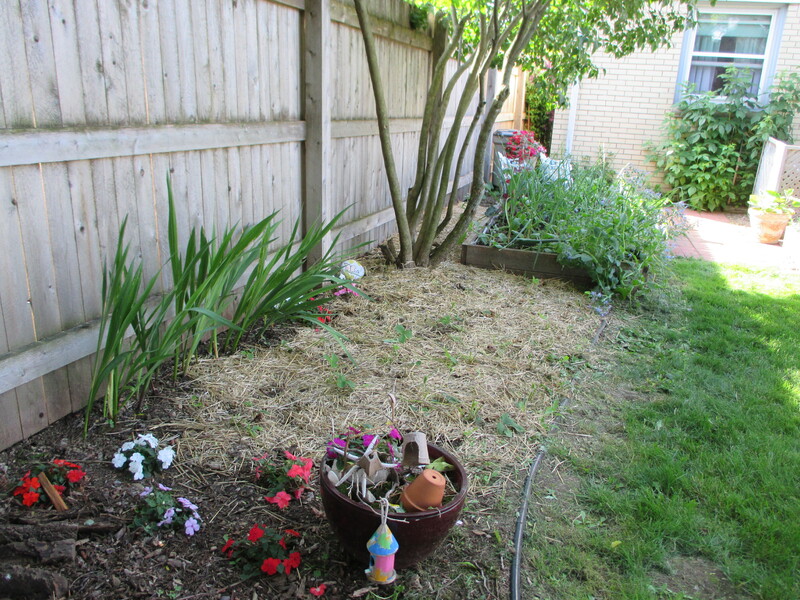 I thought it might be interesting to show you the before and after of a real life garden. Not so pretty before. But definitely worth the work for the after. 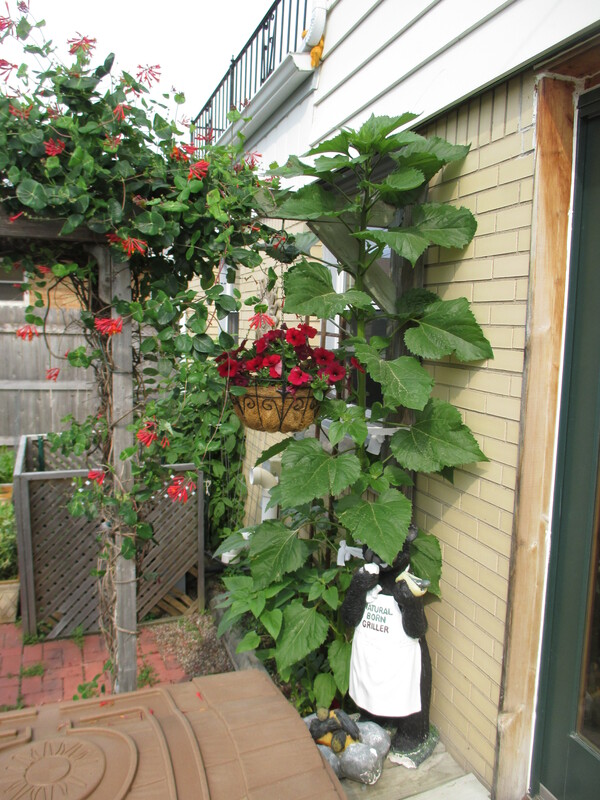 This self seeded sunflower is monstrous! 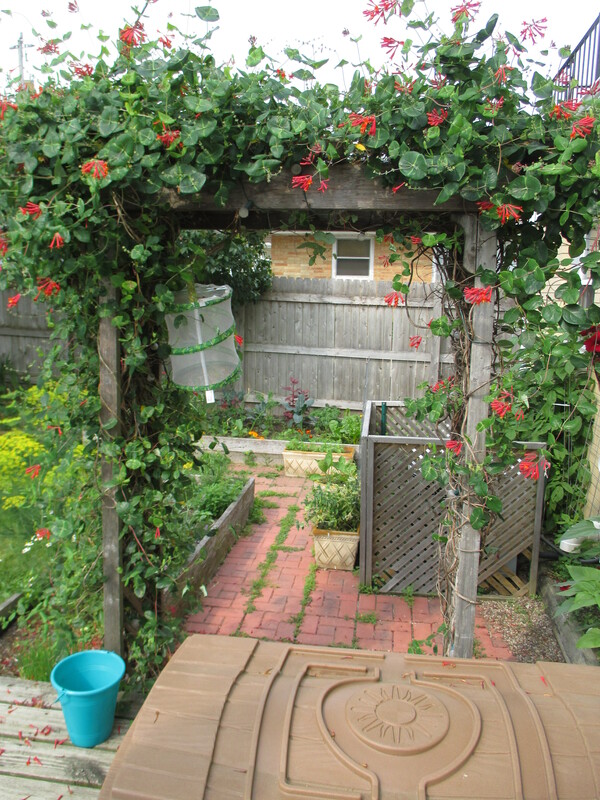 Honeysuckle vine is doing well, no aphids this year. 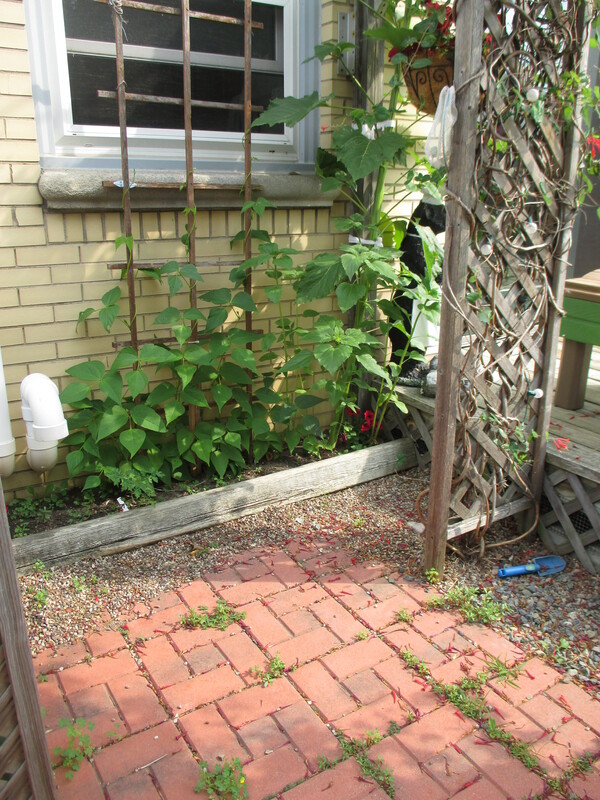 However, one of the vines did die, though the second one is so robust it’s hard to even tell that one is missing this year. 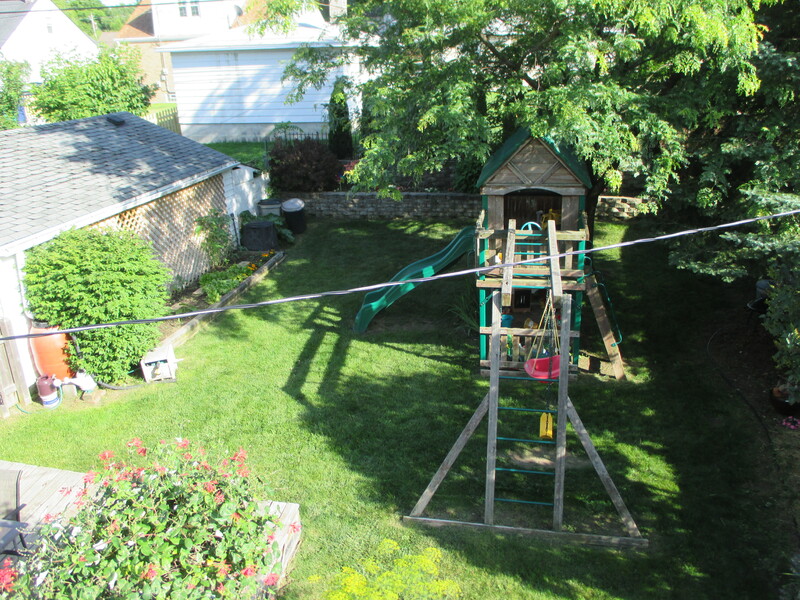 View from the deck to the back wall. 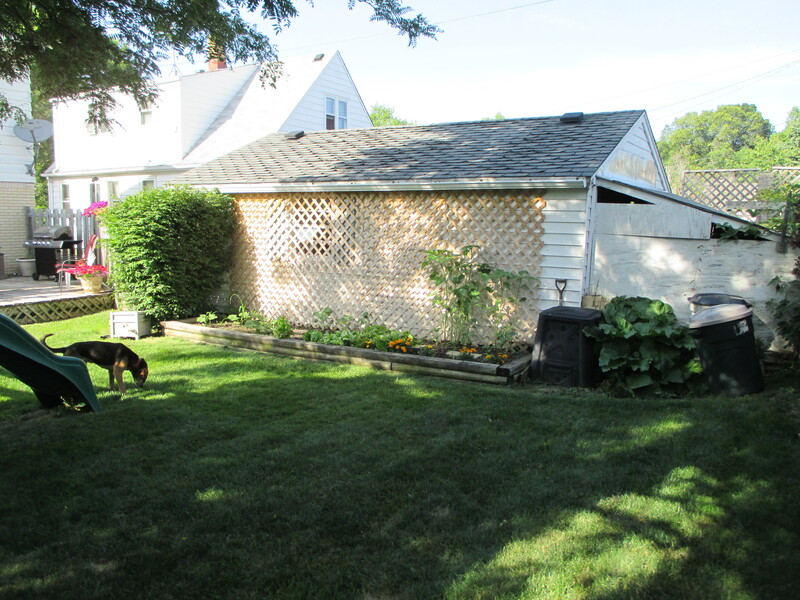 Garage side garden in a mid-season transition. 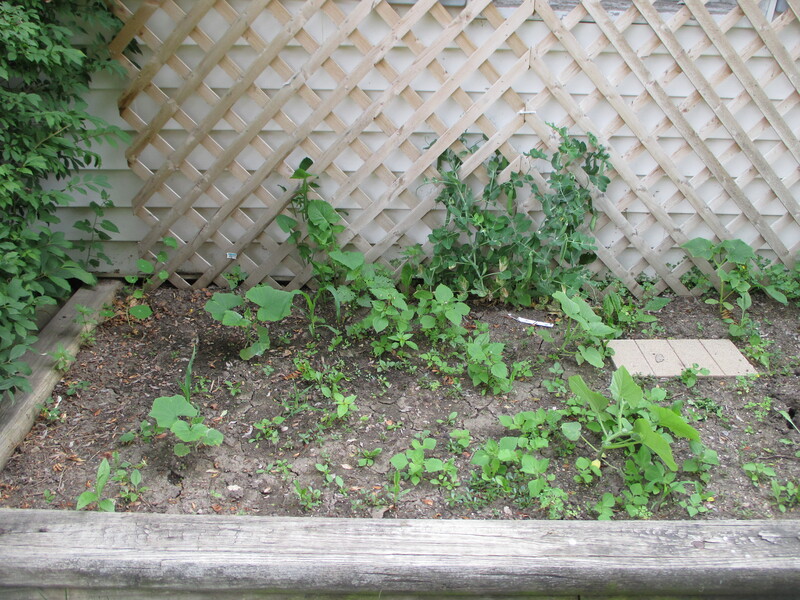 Peas are done, lots of weeds and some squash plants. 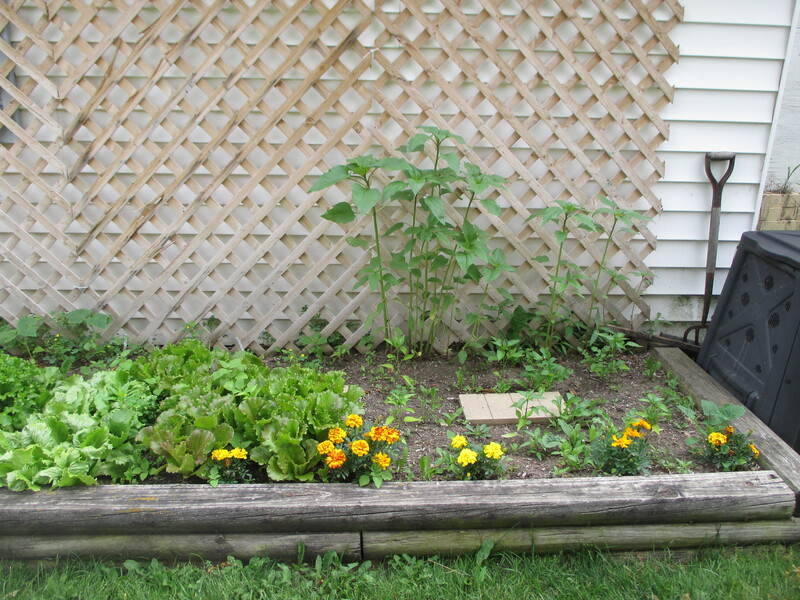 Peppers and sunflowers, some lettuce and marigolds. And weeds! 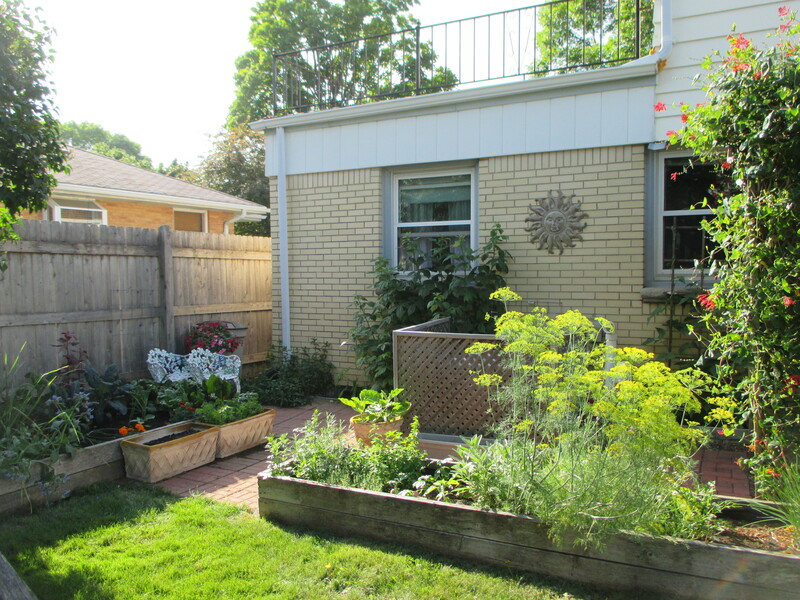 The back wall is a mishmash of perennials, annuals, garlic and lots of weeds. Needs a clean up. 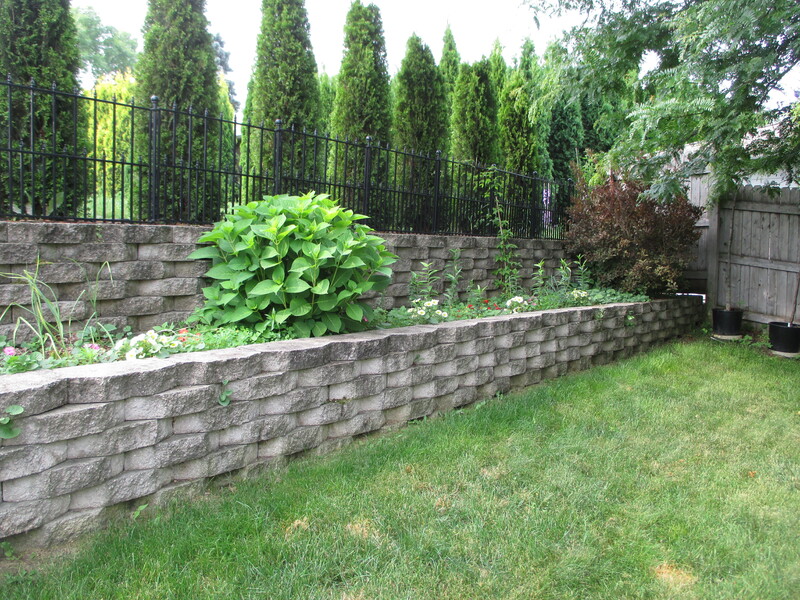 The wall lines the entire back property line of our yard. 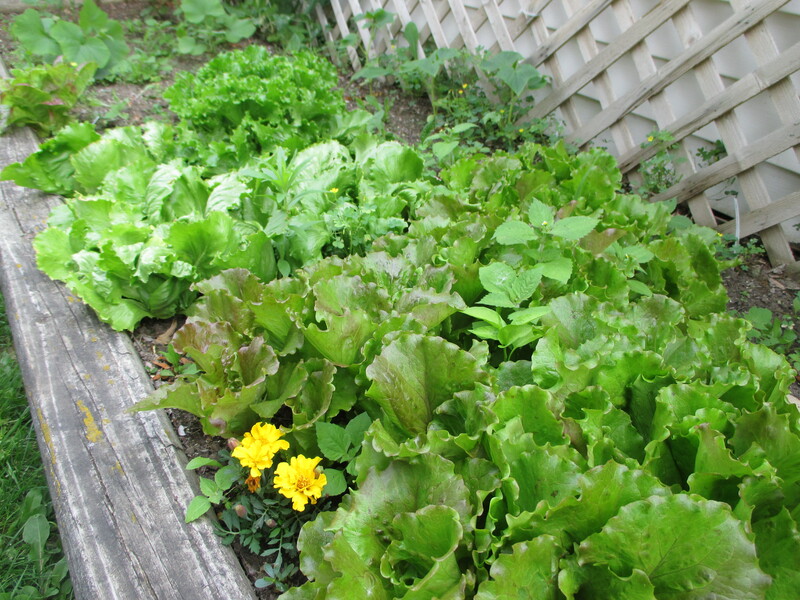 It’s a good lettuce year! No bugs and cooler weather. This needs a major thinning. Time to eat some salad. 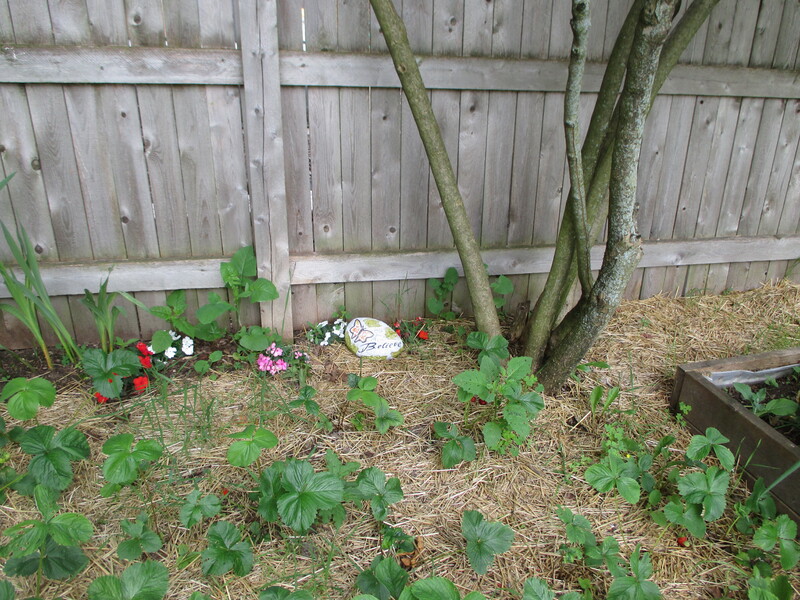 Strawberries, gladiolus, a few impatiens and some straw that decided to seed itself and grow some annoying green growth. Needs a clean up and prep work for the strawberry runners that are starting to grow. 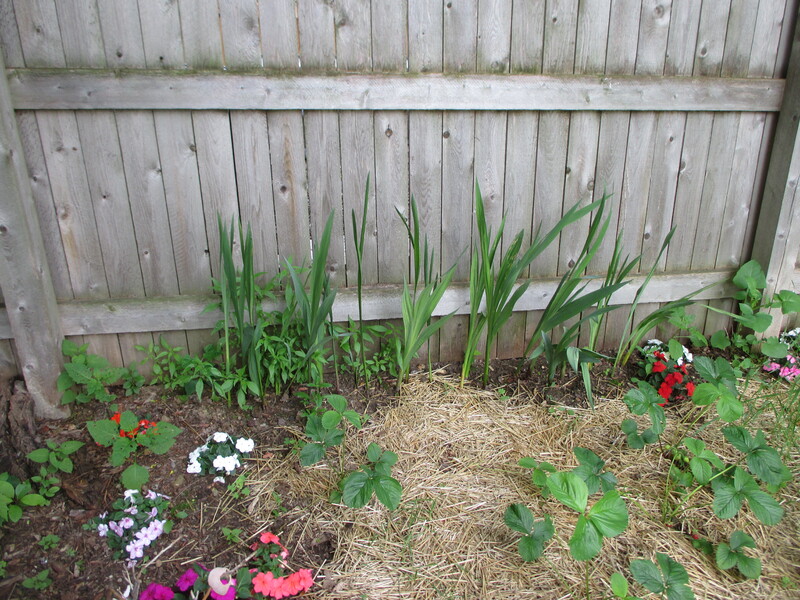 More of the gladiolus, impatiens and strawberries. 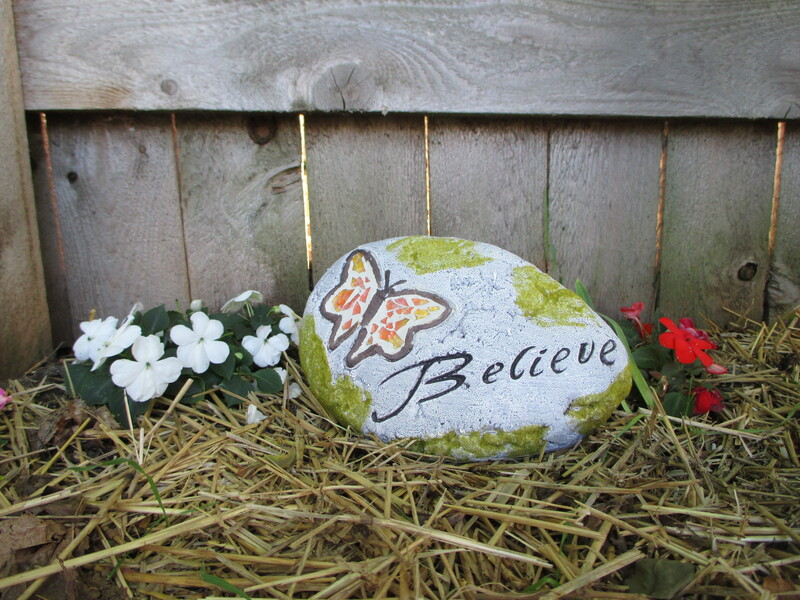 New “Believe” rock from my sister-in-law. Whoa! 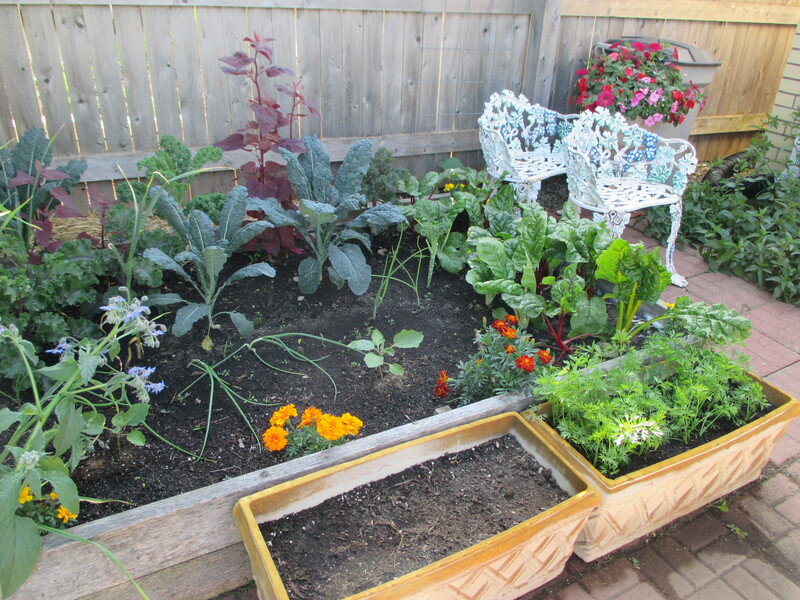 Okay, so this is a crazy raised bed. 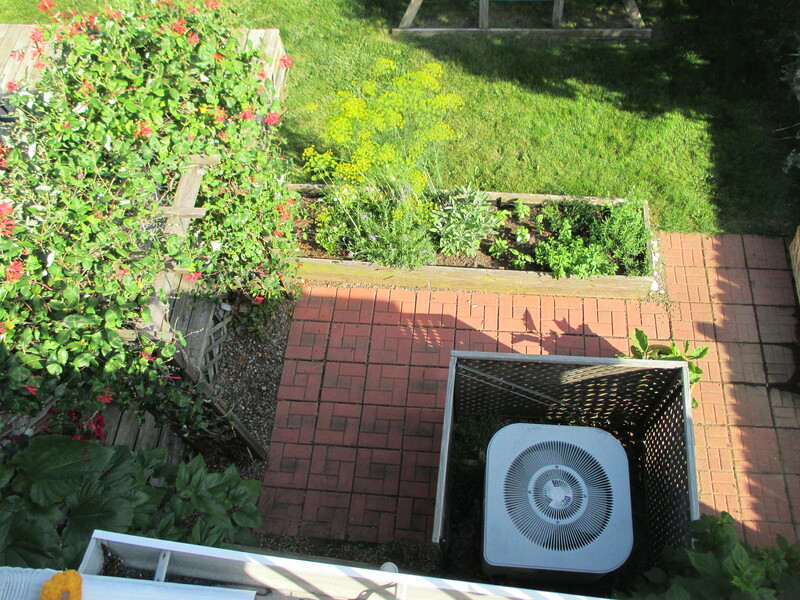 From this view you can see borage, garlic, onion, a volunteer lettuce, and dill. 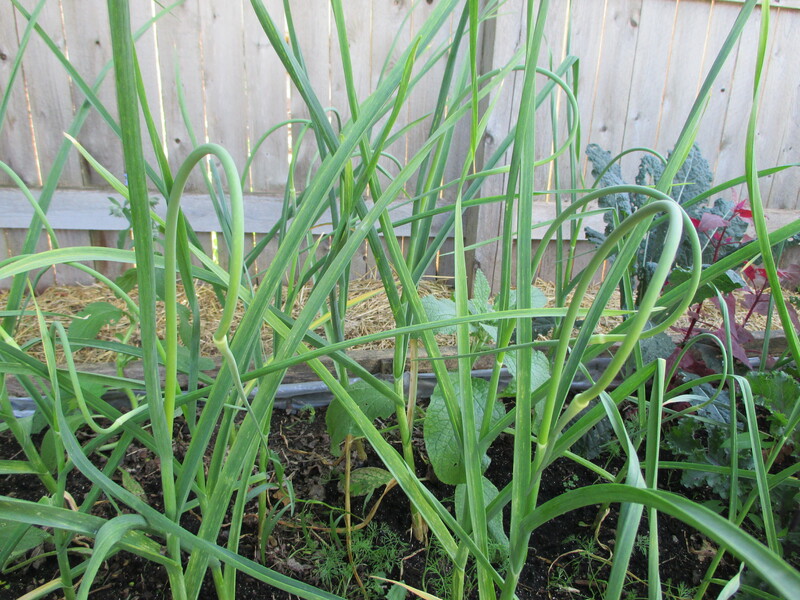 Time to harvest the garlic scapes. 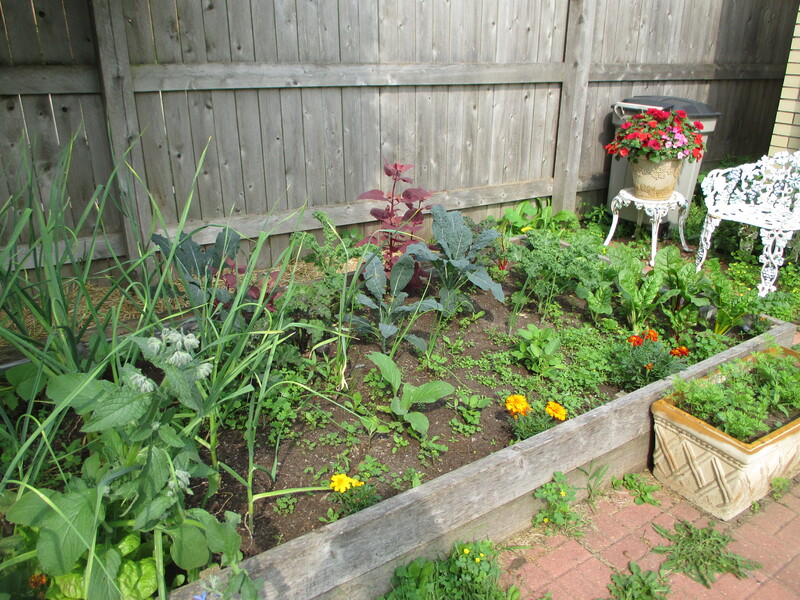 The rest of the crazy raised bed is not quite as crazy. 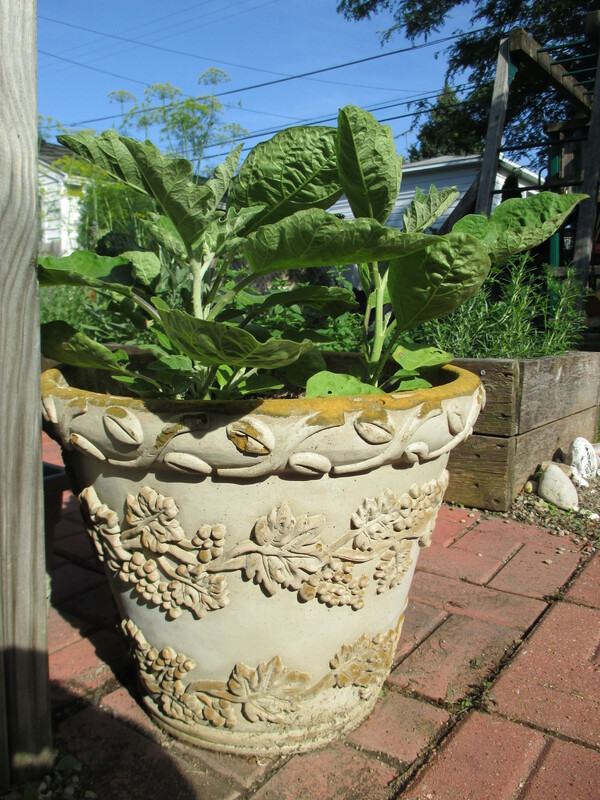 It’s home to two very small eggplant, three kinds of kale, volunteer red orach, marigolds and Swiss chard. Things are going well here. 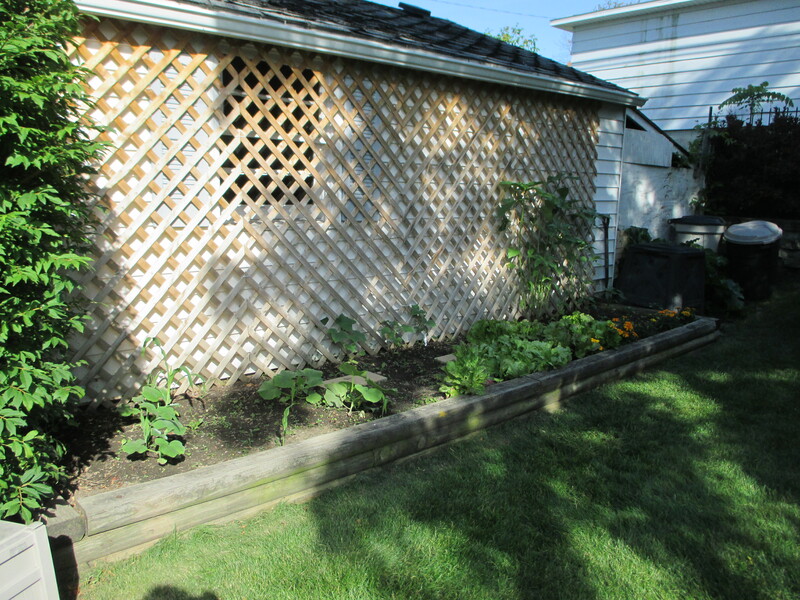 It needs some weeding and some plant food on those sad eggplant, but I think once we have a long hot spell those will do just fine. So many weeds. 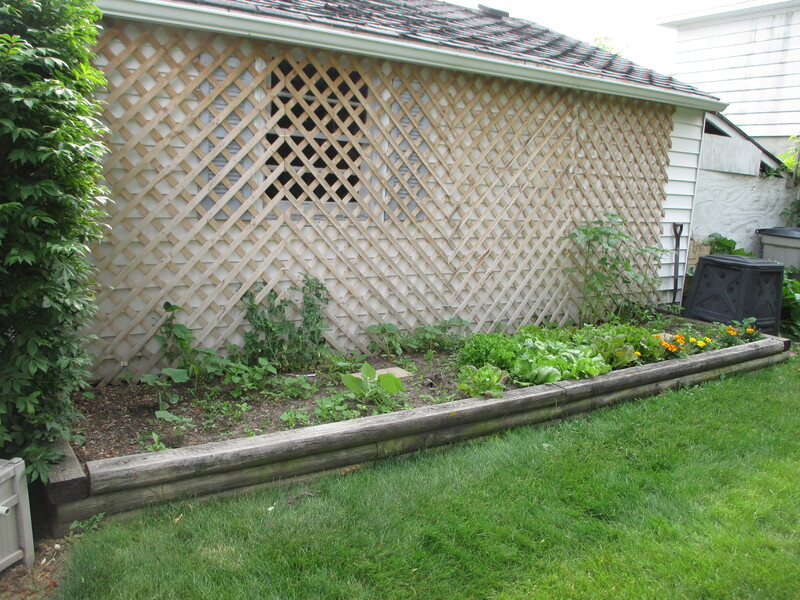 Raspberries are back there as well as a potted eggplant that is doing great. And the mint which is recovering from a bunny incident. 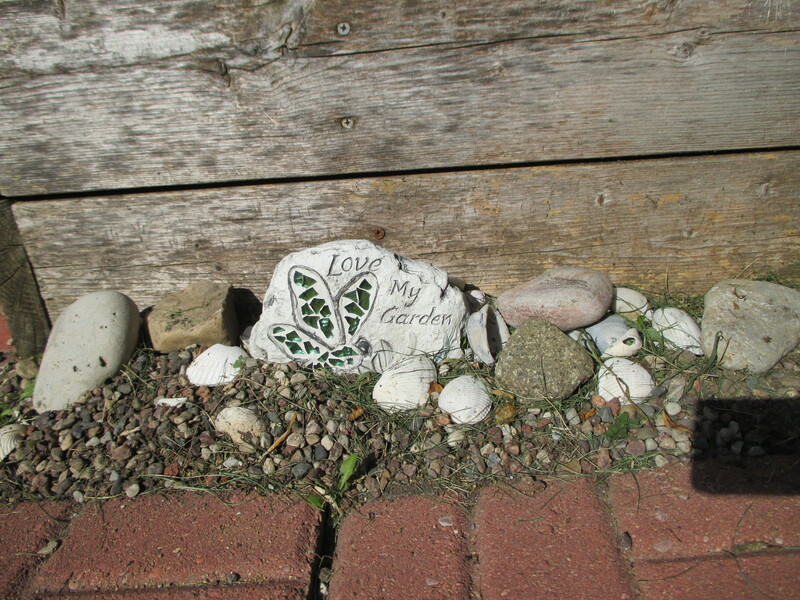 There is a rock garden under there somewhere. 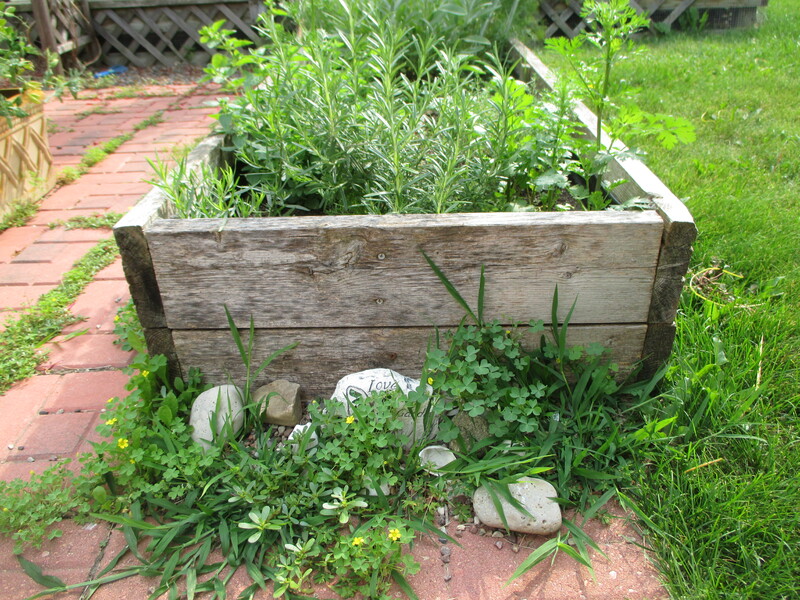 Herbs are doing fine. 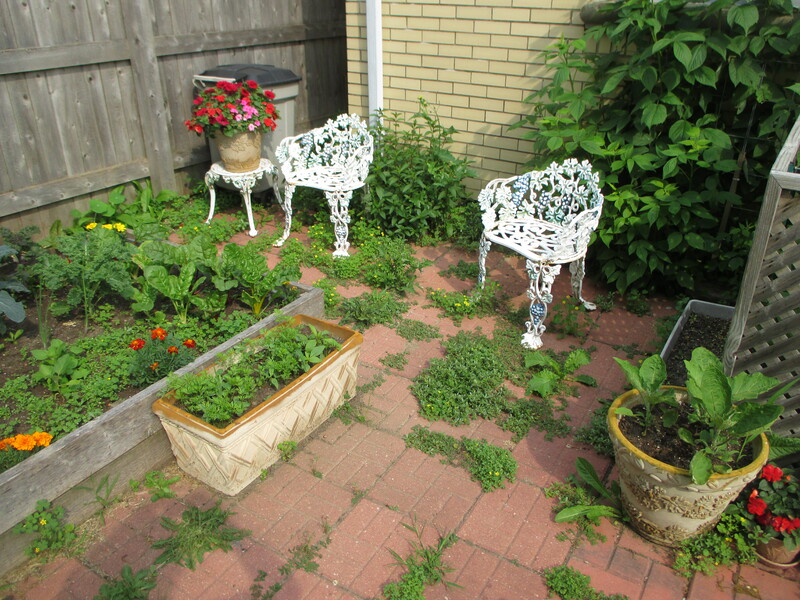 There is a ton of purslane in this raised bed that needs to be pulled, but once that is done this should be low to no maintenance for the rest of the season. 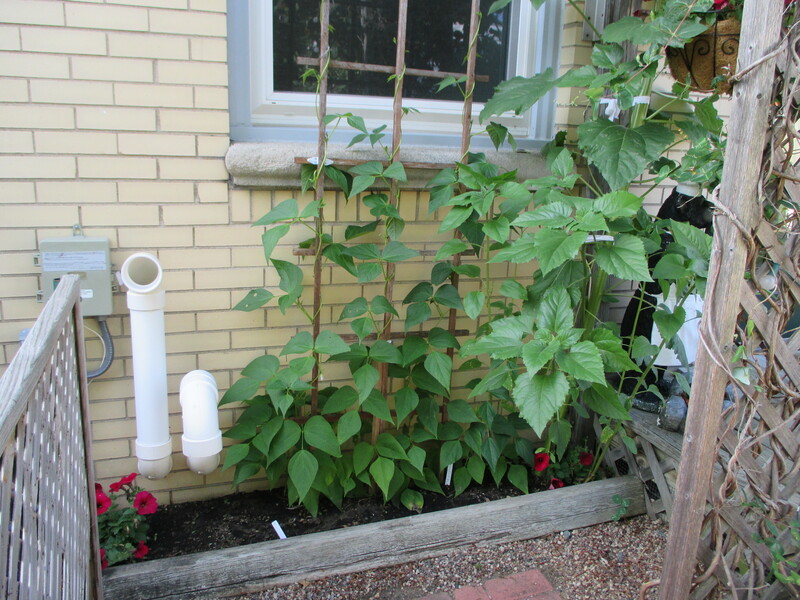 Beans climbing a support. 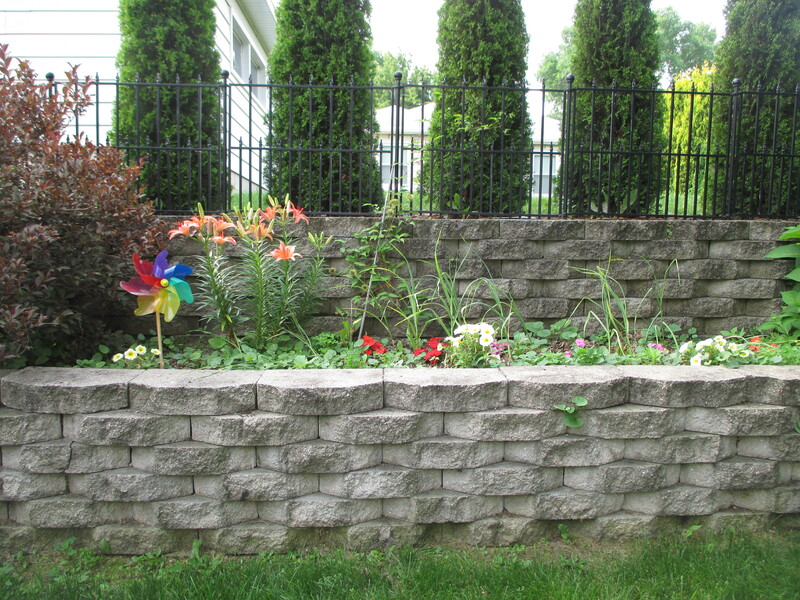 Need to get my landscaping rocks back in their spots… they seem to walk off with my kids. This area needs a clean up. 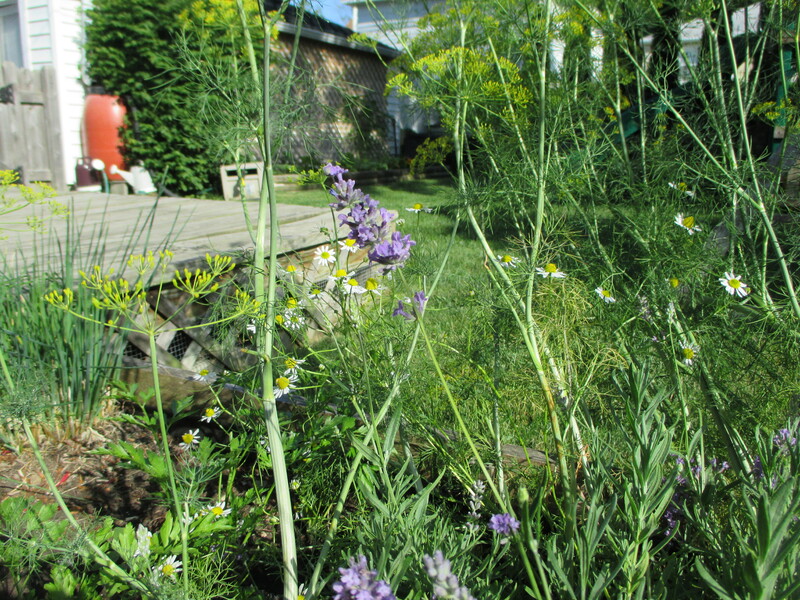 That dill is good for now, but will probably be done in a few weeks. Basil is finally getting to a point where I can begin harvesting. 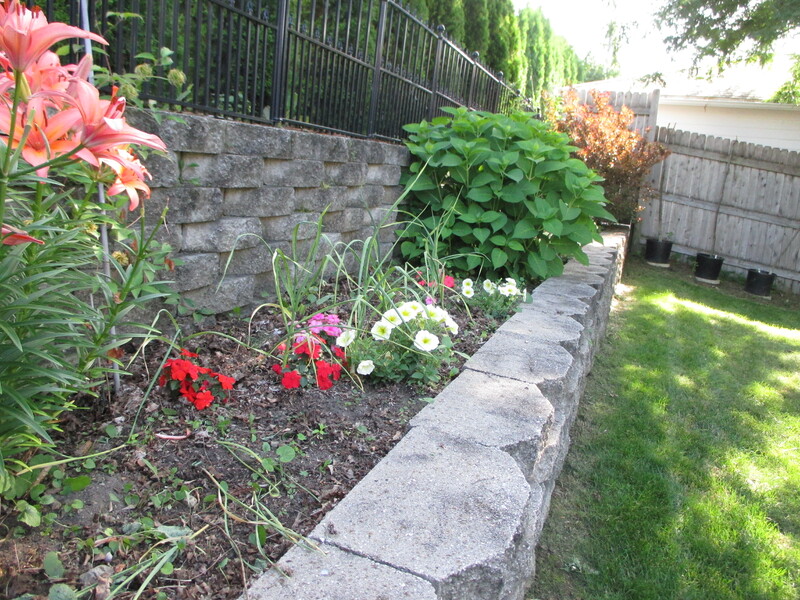 I will plant some more in another location for later in the season. 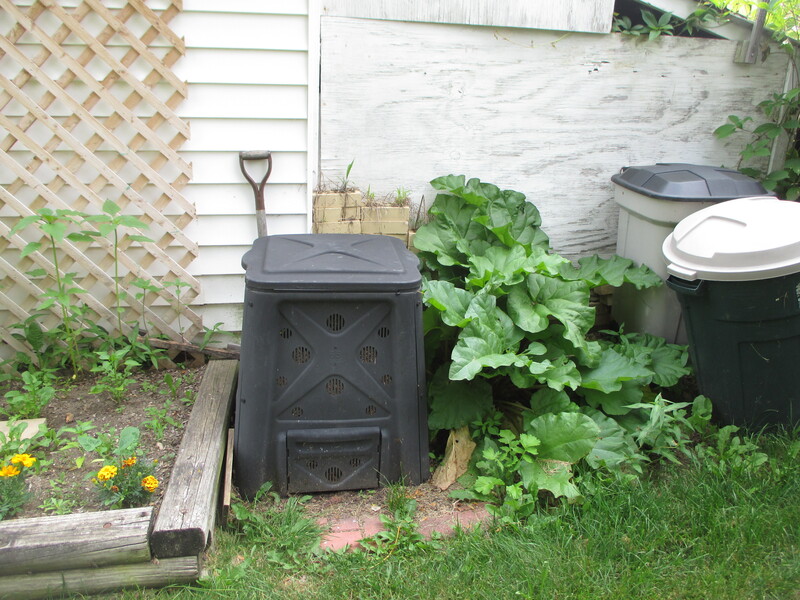 This is a container of carrots… and weeds. 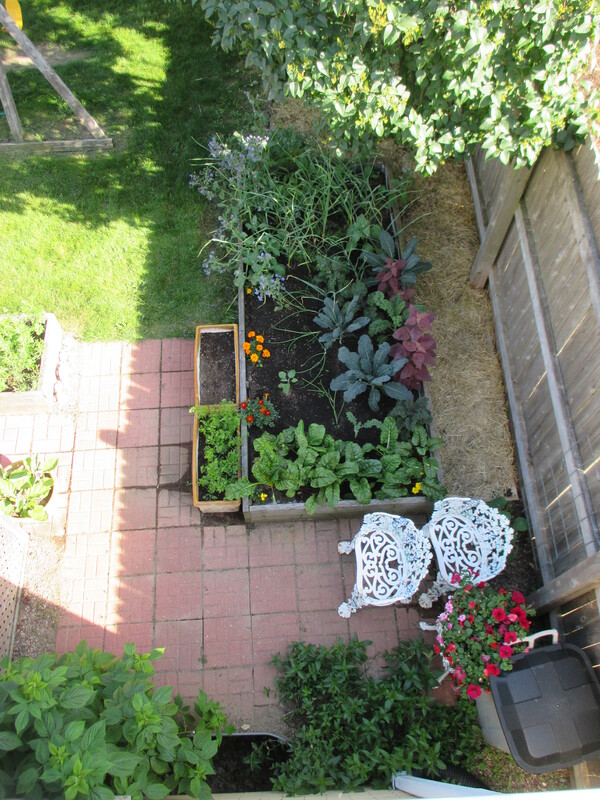 Another view of the kale, Swiss chard and orach. 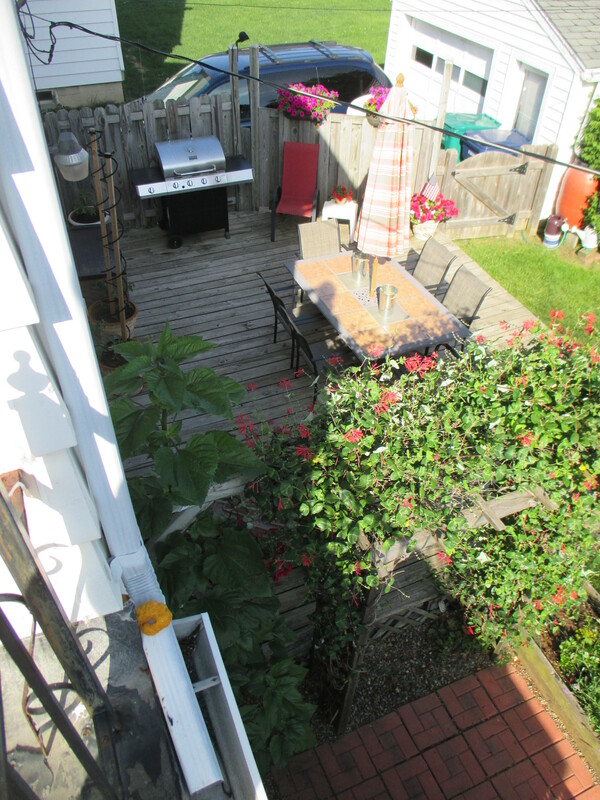 Overhead view shows the extent of weeds taking over the patio. 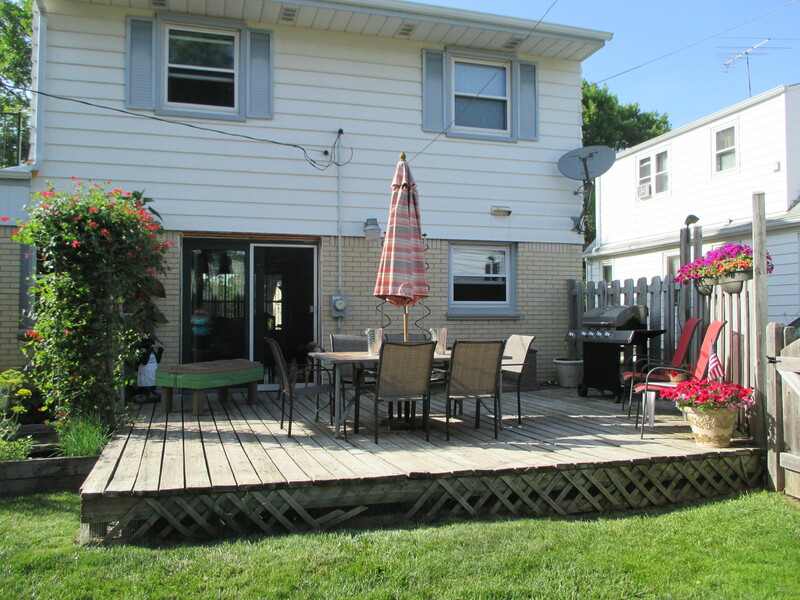 This side of the patio has few weeds, but still needs some work. The dill sure looks cool from this view! 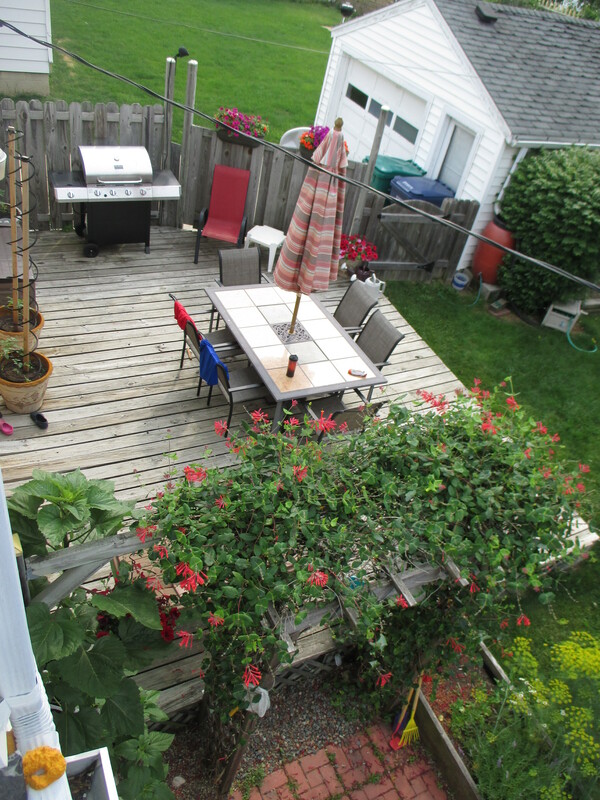 Honeysuckle and deck from above. 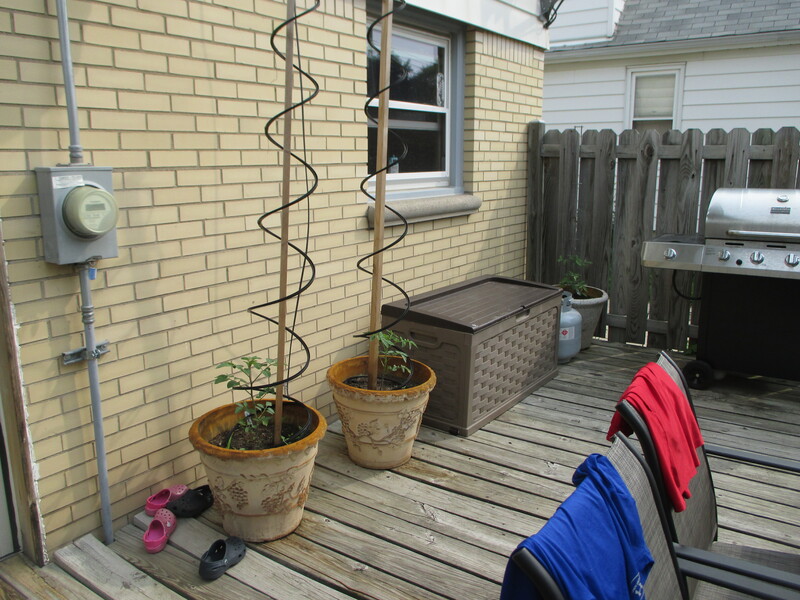 I have three tomatoes in pots this year. They look small right now and they are. But they are healthy and the weather at my house has been cool. I am confident that these will take off very soon. 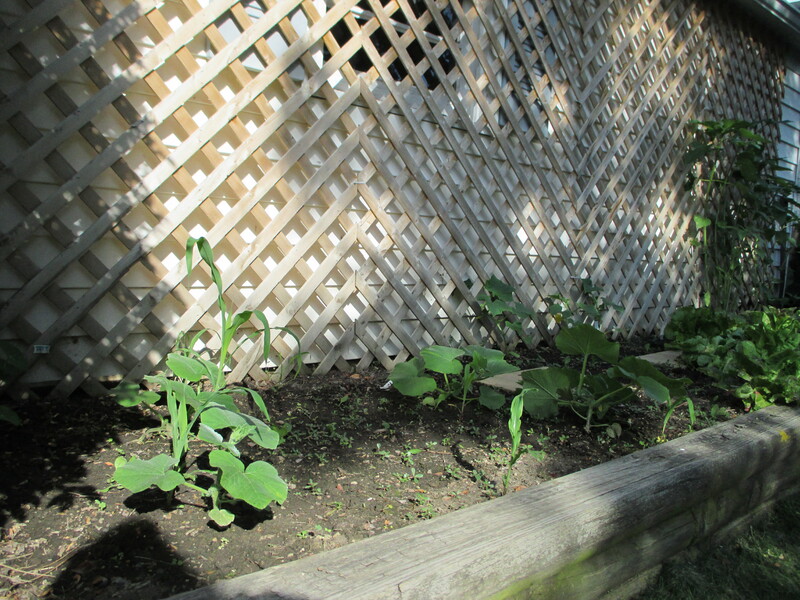 With weeds gone, the squash seems happier. 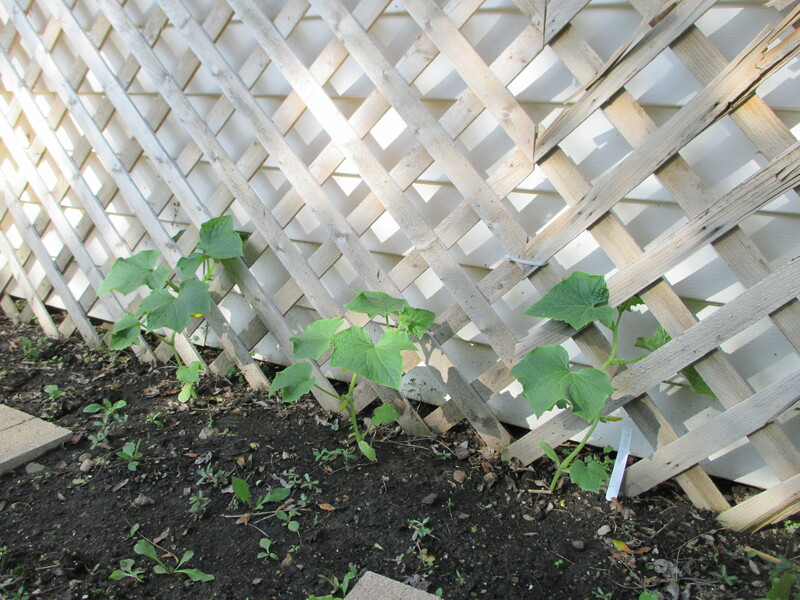 Nutterbutter squash plants are getting bigger. Cucumbers just about ready to start climbing. I still have plenty of lettuce here. 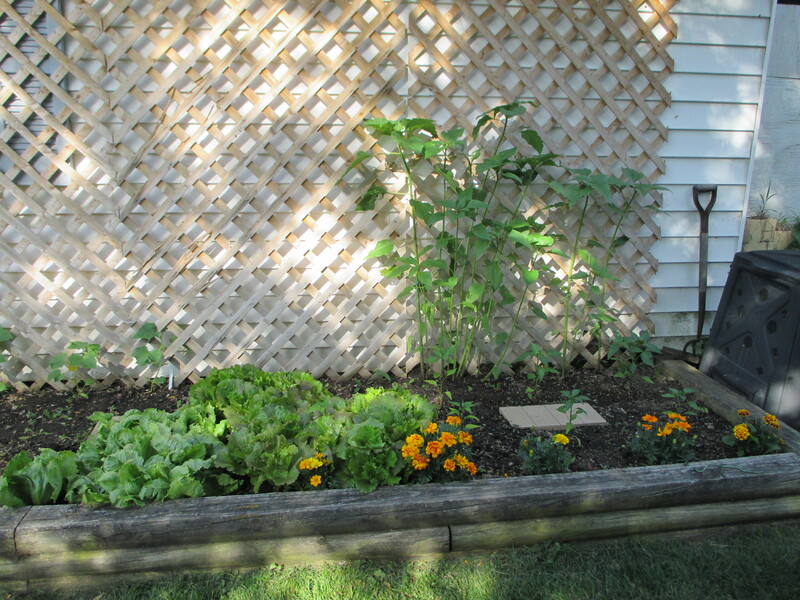 Also peppers, sunflowers and marigolds. 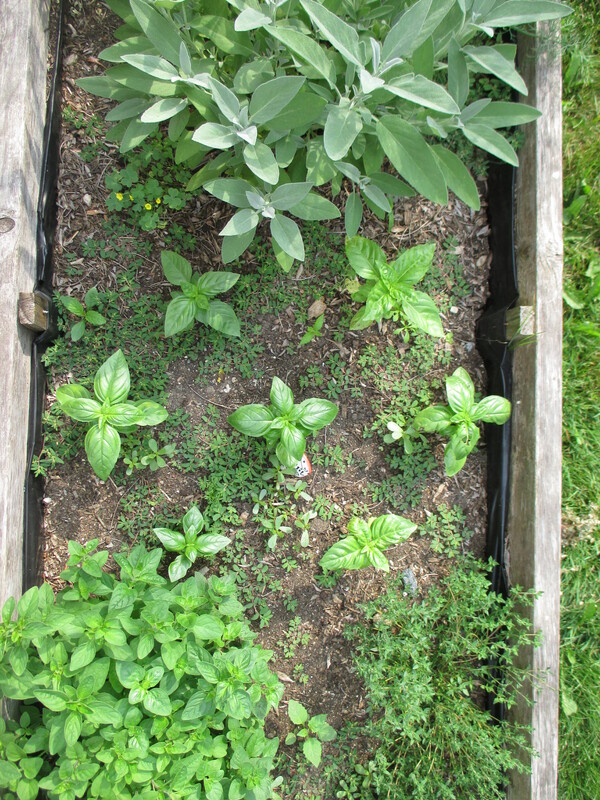 I’ve also added some basil seeds here, hoping to get a late summer crop to go with tomatoes. 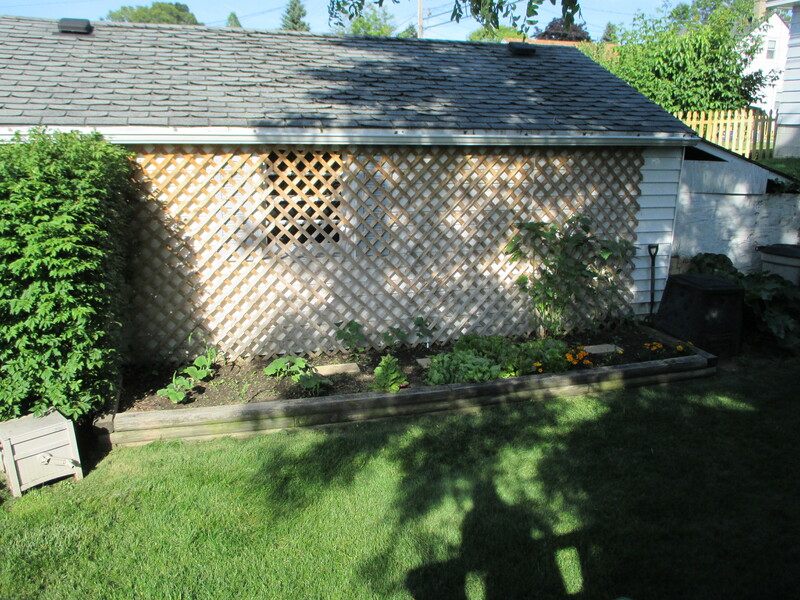 Back wall looks much nicer now with weeds gone. I like the color back here. And at night I can see the white flower from the house. A view of the garage. I topped off the older strawberry plants and will now let the runners go wherever they please. 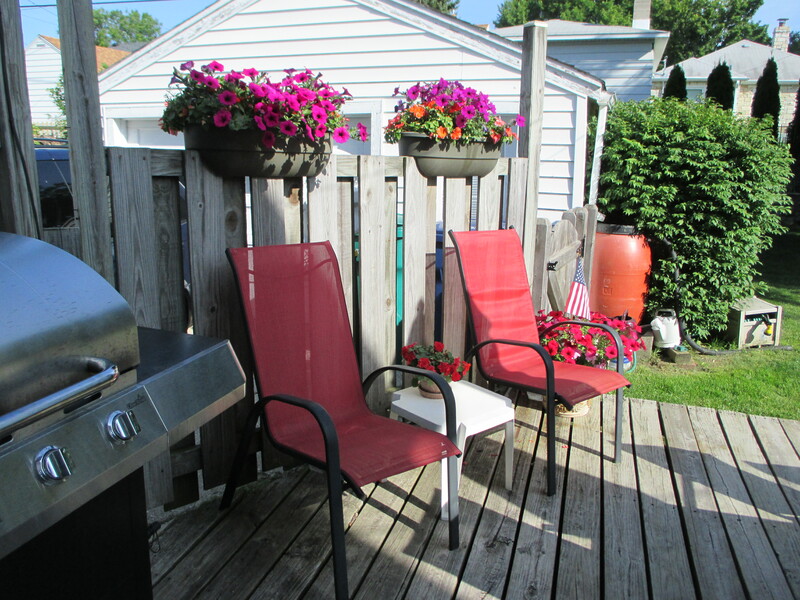 I “believe” the garden looks better now! Weeded, but still jam packed. 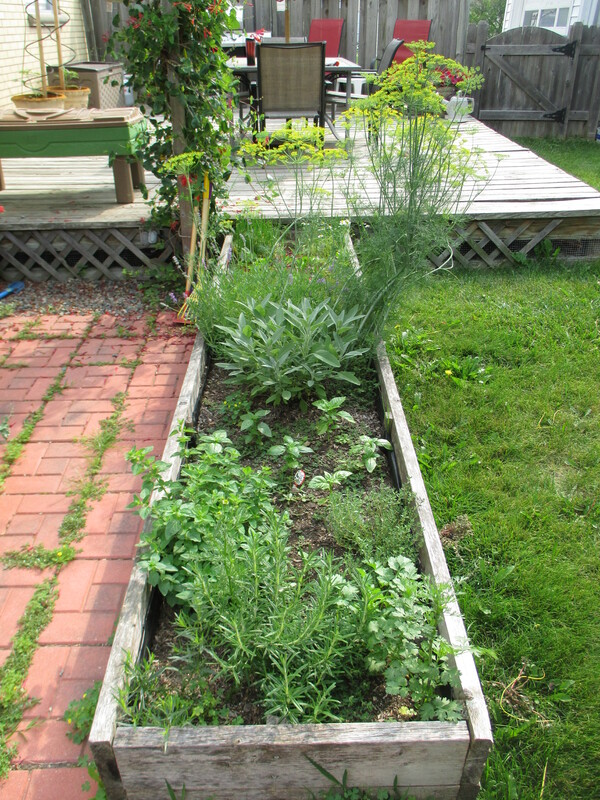 Soon the garlic will come out and the dill will take over. Weed free, for now. Second container of carrots moved over here. 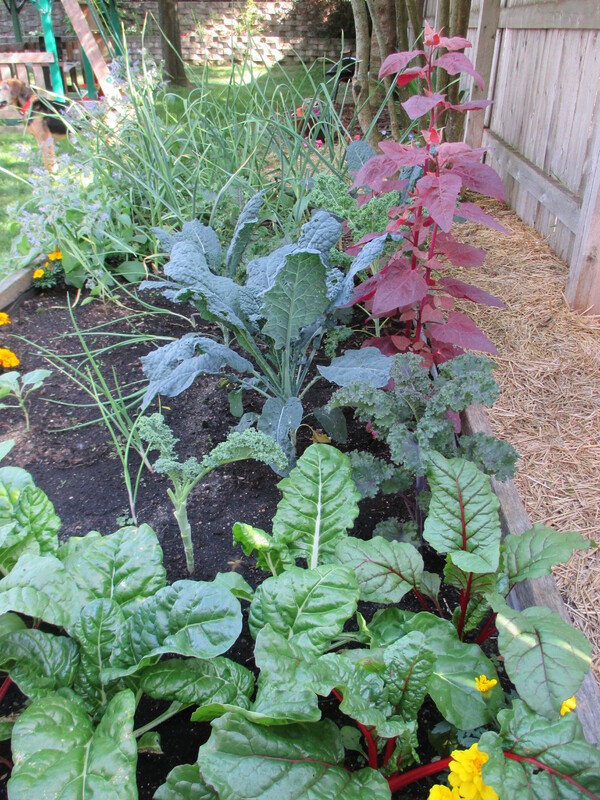 I love all the colors of kale, orach and chard together. 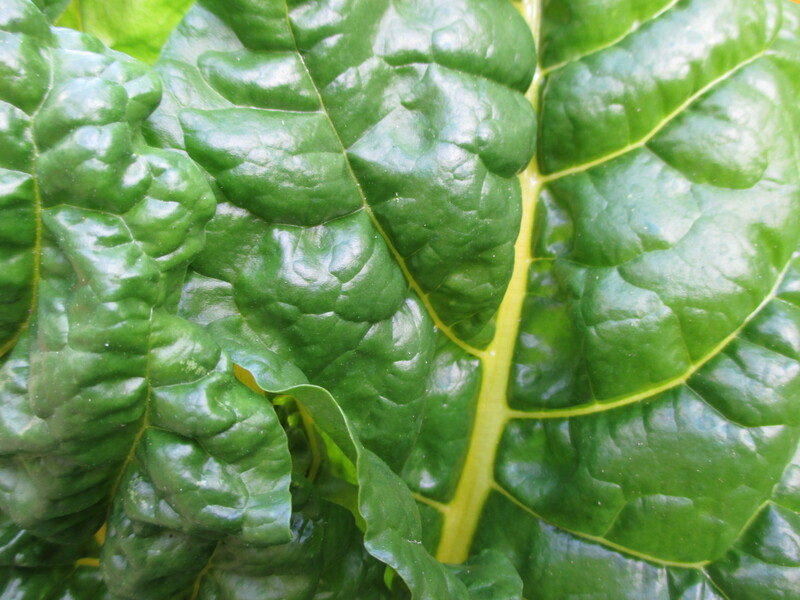 Swiss chard has the most beautiful leaves. 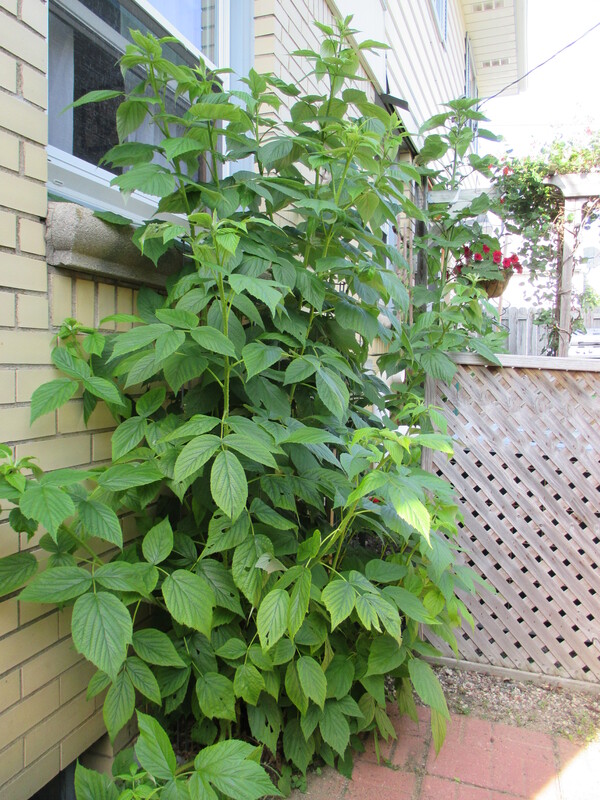 Raspberries are getting very tall now! We put in a support to try to keep them upright, hopefully it holds. 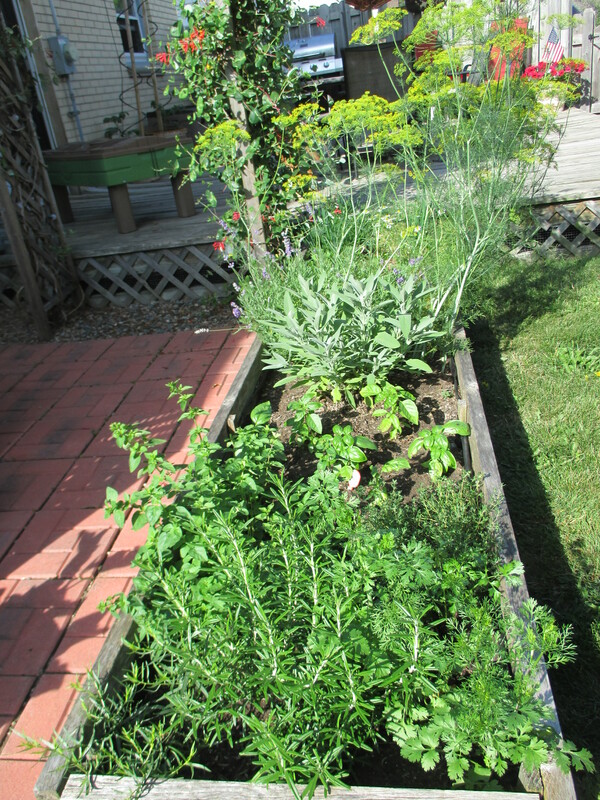 Herb garden is in such good shape right now. 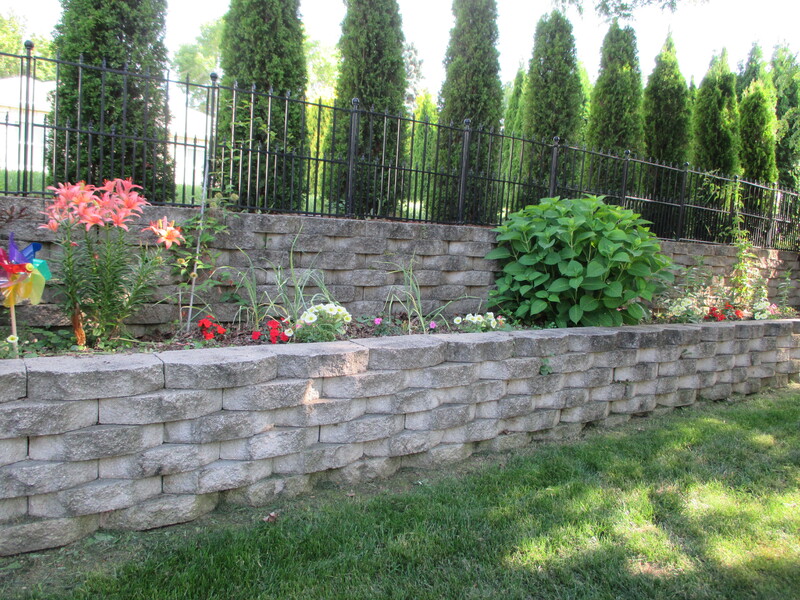 There’s the rock garden! I knew it was under those weeds somewhere. I’m very happy with my Climbing French green beans. They are perfectly ascending this support and have flowers starting on the bottom. 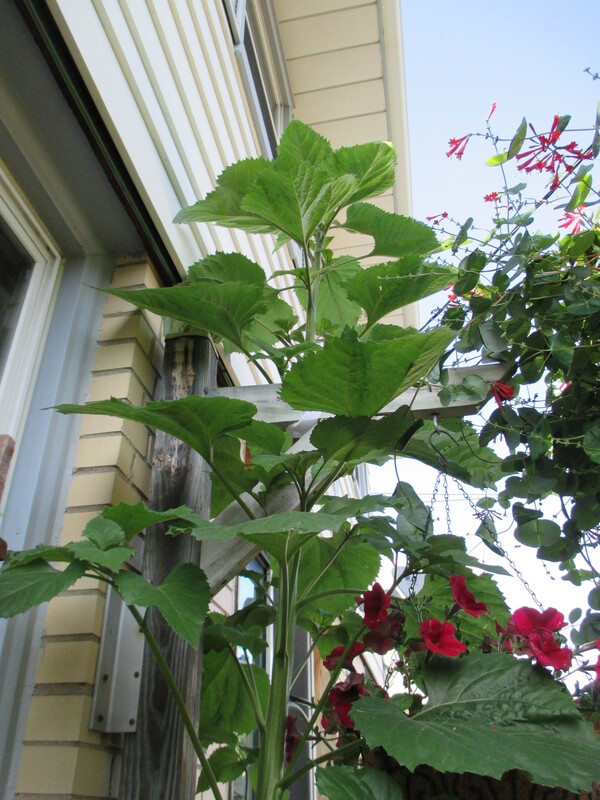 A very tall sunflower. It keeps getting taller! 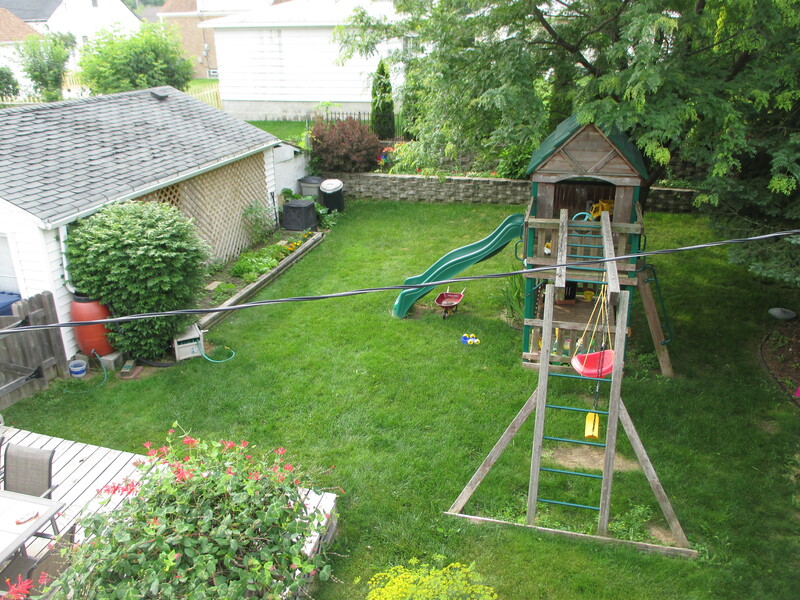 I will have to pull out a measuring tape soon. Tomatoes are still looking good and starting to get bigger. They are definitely behind schedule though, so at this point I’m hoping for a nice long summer. A nice place to sit. 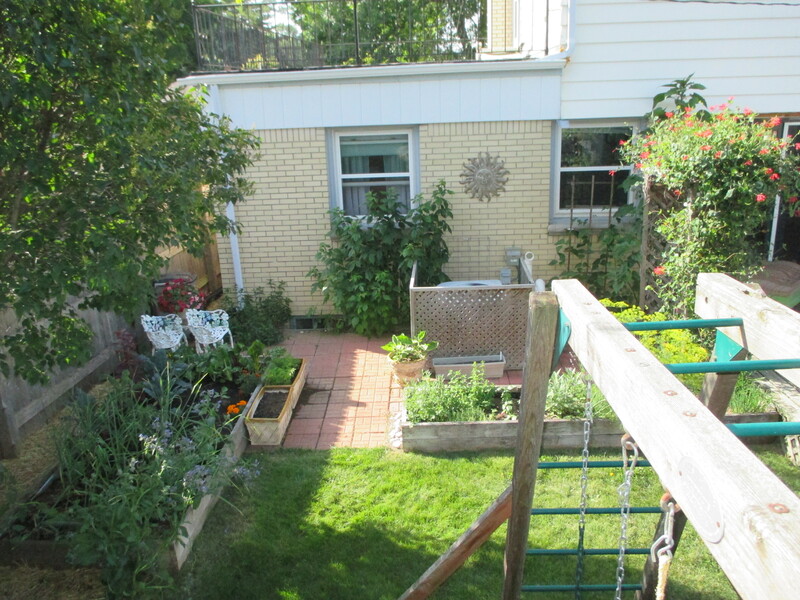 View of the patio garden. 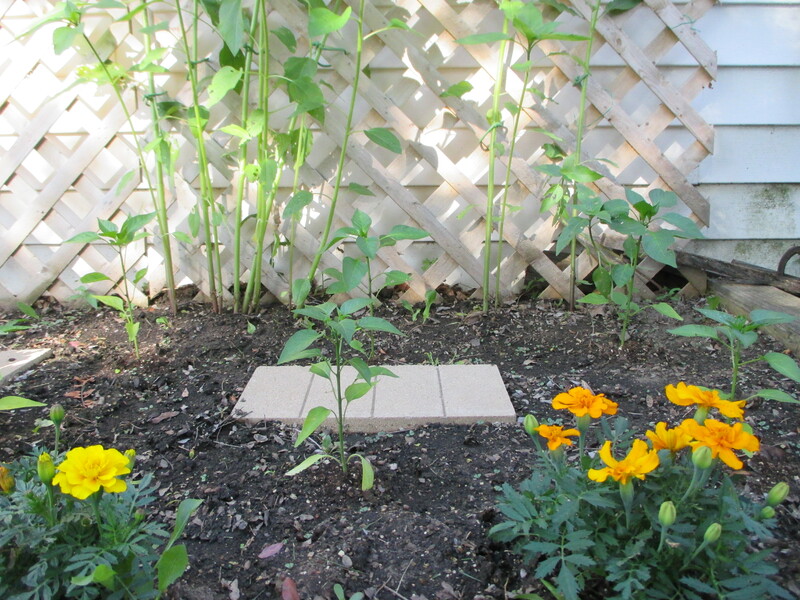 I did plant some nasturtiums which are supposed to rise up and meet that sun, but they are only about a foot tall right now. 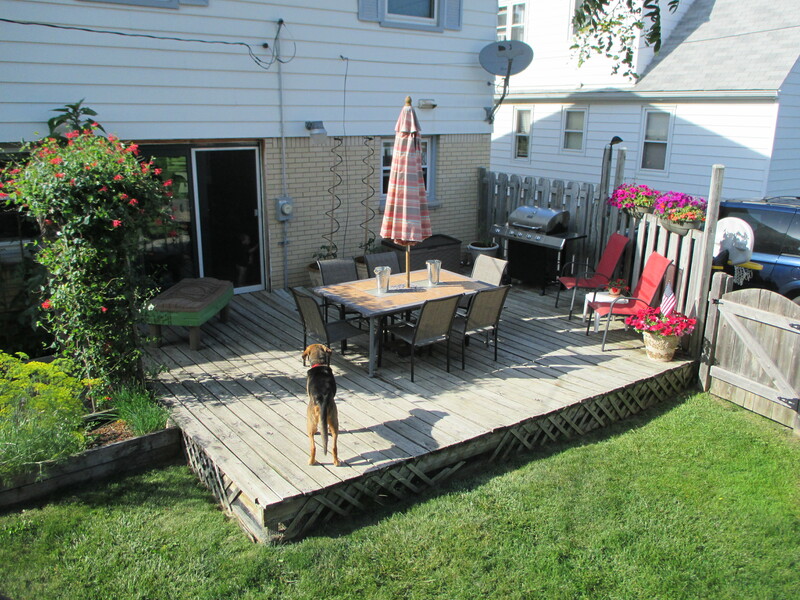 Another view of the patio garden. Garlic with scapes. 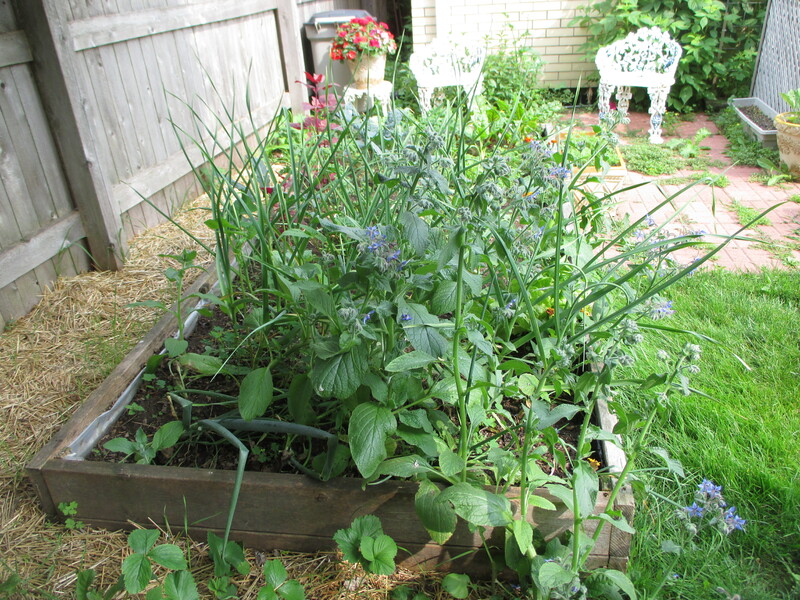 The scapes are now ready for harvest and the garlic will stay in for about another month. 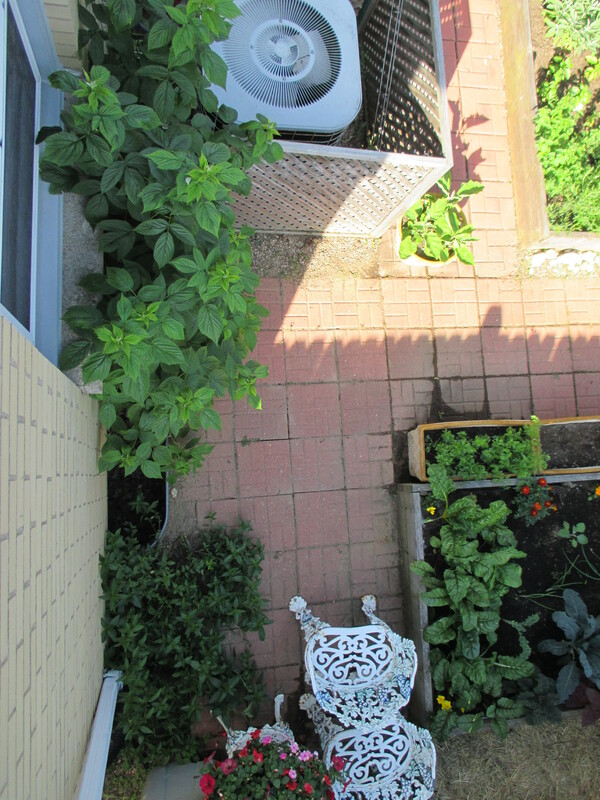 Overhead view of herbs and honeysuckle. 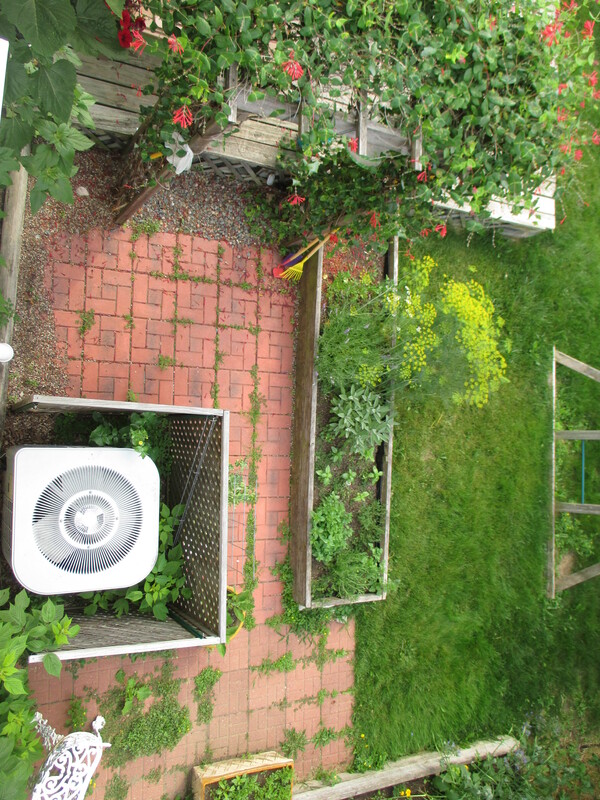 Overhead of raspberries, beans and nasturtium. REWIND: Posts I wrote but never published! It’s time to back up the bus and take a trip back into 2012. It was a year in which I had my third baby in March and spent a significant amount of time tending to my family’s needs. I was often pulled away from the computer. There were so many posts I started writing and was never able to finish. Well, January 2013 is here and with it comes a (few) spare minutes for blogging. It helps that my baby now takes a nice nap during the day and doesn’t need to be nursed around the clock as has been the case for the last 10 months. There were so many unpublished gems last year. I’m just going to finish them up and post them as I have time. So you may be reading about the heat of summer while it’s snowing outside… but hey–that might be a good thing! I was inspired to create this video while looking back through my garden photos from the past three years. 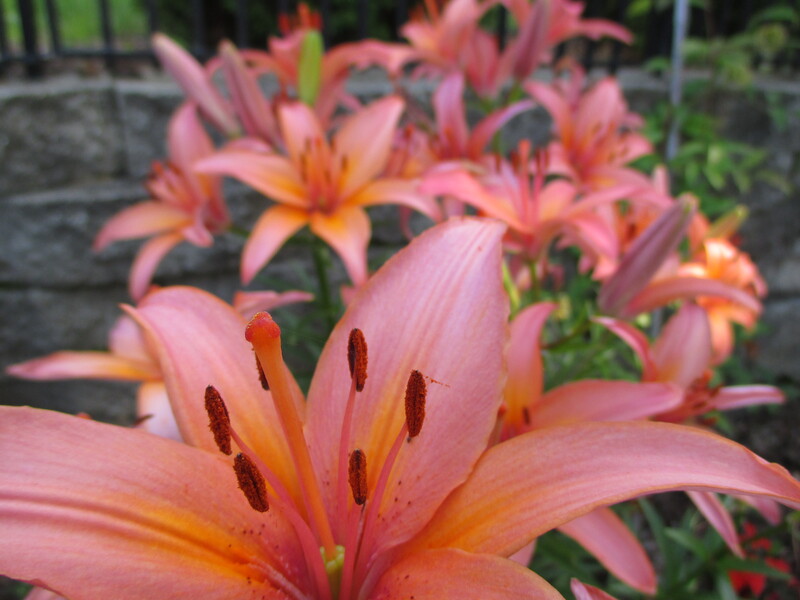 Set to “How Great Thou Art” and “In the Garden”, here are most of my favorite photos I’ve taken in my garden. Compiled this way, it’s amazing to see the color, texture and beauty of God’s creation. 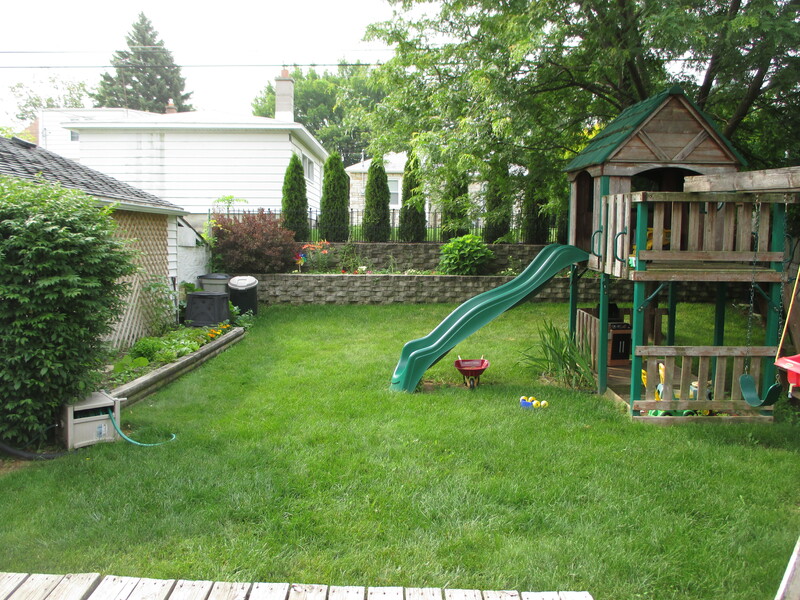 And this is just one little back yard. Thanksgiving celebrates the bounty of the growing season and provides a special day to offer thanks for the many other blessings in our lives. What a perfect combination: food from the garden and thankful hearts! I want to wish readers a very Merry Christmas. This is the time to celebrate God’s greatest gift to us–Jesus Christ–and his life-giving sacrifice. Thank you God for sending your Son to save us all. I’m inspired by God’s gift to us and by the bounty of my garden to share some homemade gifts from my garden this year with friends and family. I’m not really one for stores anyway, so making gifts at home is just right for me. I’m finishing some things up this week and then we’ll be observing Christmas and celebrating with family during the Christmas break. A year ago I committed to writing a blog for one year. That time is now up. I have decided to continue blogging in 2012. It’s been a blessing to me and hopefully to others as well. I’m currently six months pregnant and expecting a baby boy at the end of March. Of course I plan to garden next year. I’m just not sure how often I’ll be able to post to the blog. So, bear with me in 2012. My family is growing! A true miracle and blessing indeed. Thank you for reading and sharing in 2011. I’ll be back in January with seed catalogs in hand ready to plan the next garden! It’s been a glorious year in the garden, but not a perfect one. As October rolls on I’ve been busy removing plants from the garden and harvesting ripe veggies. This time of year can be a lot of work. I prefer to take it one day at a time and not try to get it all done in one fell swoop. 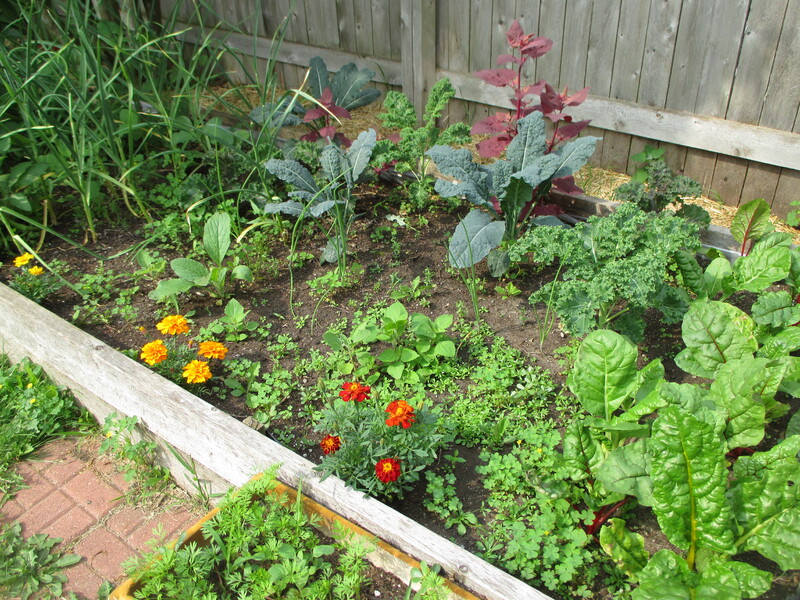 The preceding weeks have had their challenges–lots of rain, a hail storm, sickness and pregnancy–which have all contributed to a less than ambitious end to my garden this year. When the rain and hail came down on a large tomato plant full of very ripe tomatoes, it sort of collapsed on itself and many tomatoes were crushed. The leeks planted near the tomatoes were a victim of this week of rain too. 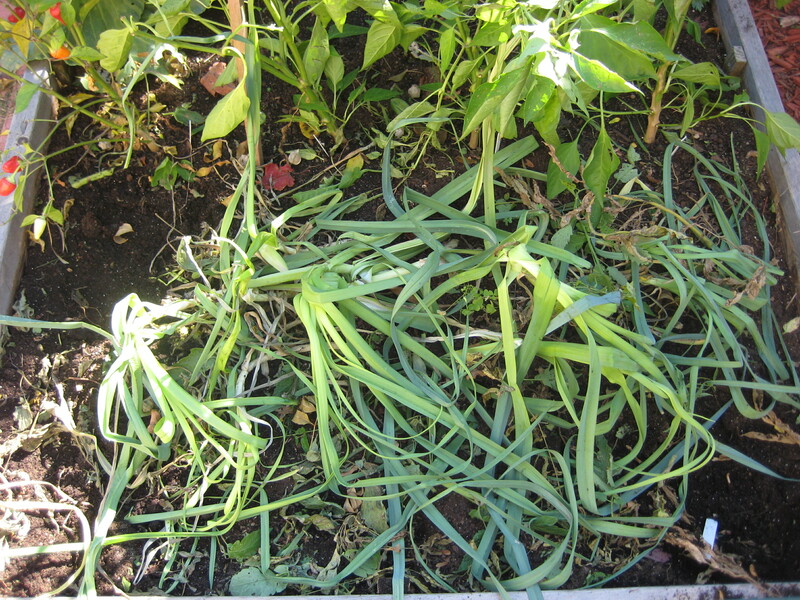 I removed tomatoes plants which revealed this patch of crushed leeks. Rain and several weeks of neglect are the cause! Happily, I was able to save many tomatoes which are now ripening on my windowsill. I’ve also harvested several peppers, and the eggplant continues to produce. 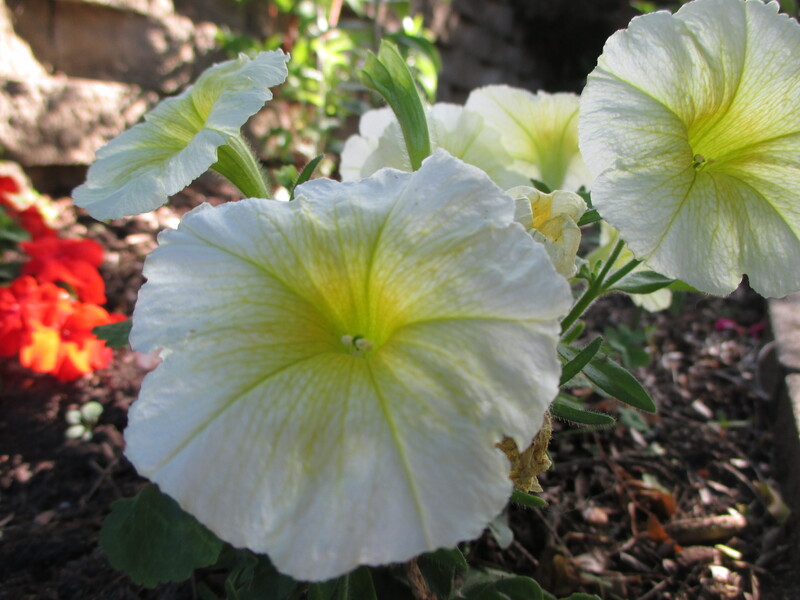 It’s planted in a warm spot in the yard and won’t realize it’s October until the frost officially comes to our area. We are fortunate to be insulated by Lake Michigan and our frost comes a few weeks later than outlying areas. A small benefit of living near the lake. 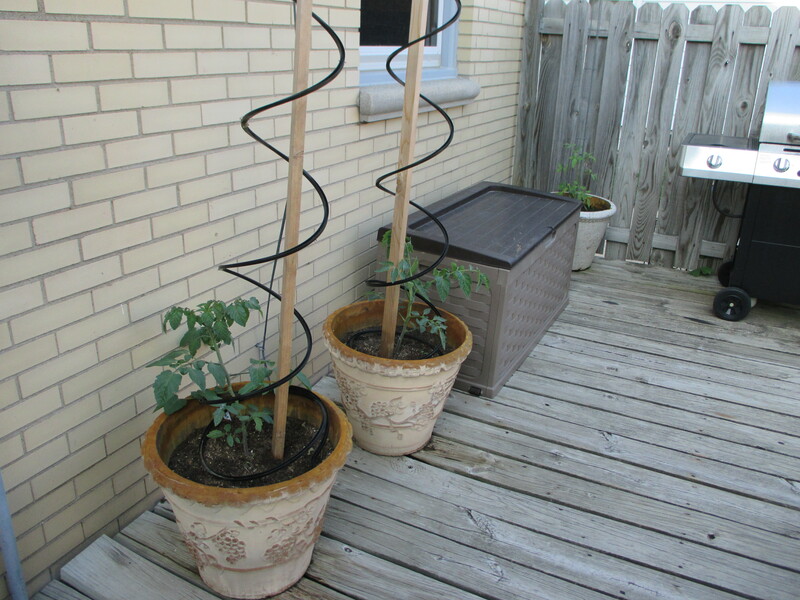 Personal health challenges and pregnancy fatigue have left me with little energy for the garden. 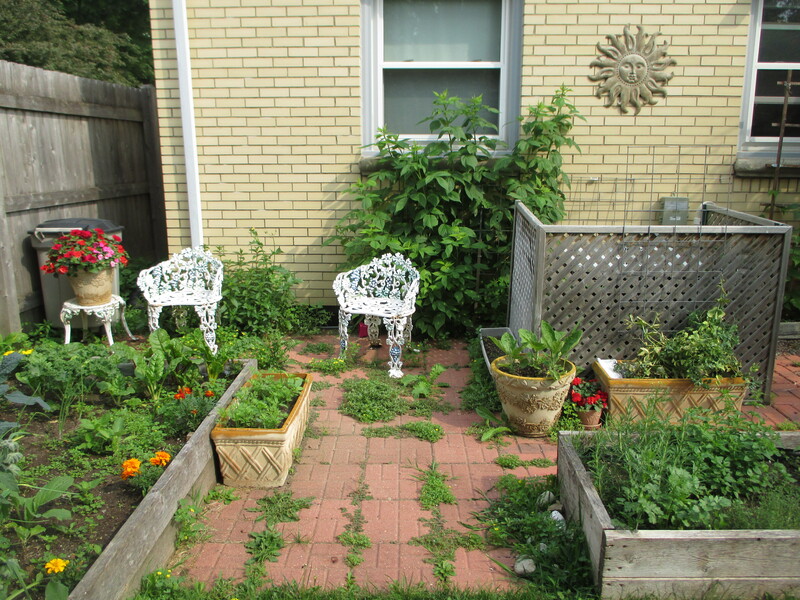 The garden has continued to be a solace during this time, but if I sit and look at it too long I’m reminded of all the work I need to get done but don’t feel up to doing–and I get a little stressed out. The weather will be seasonal for the rest of the week, and I plan to get my garlic in the ground soon. 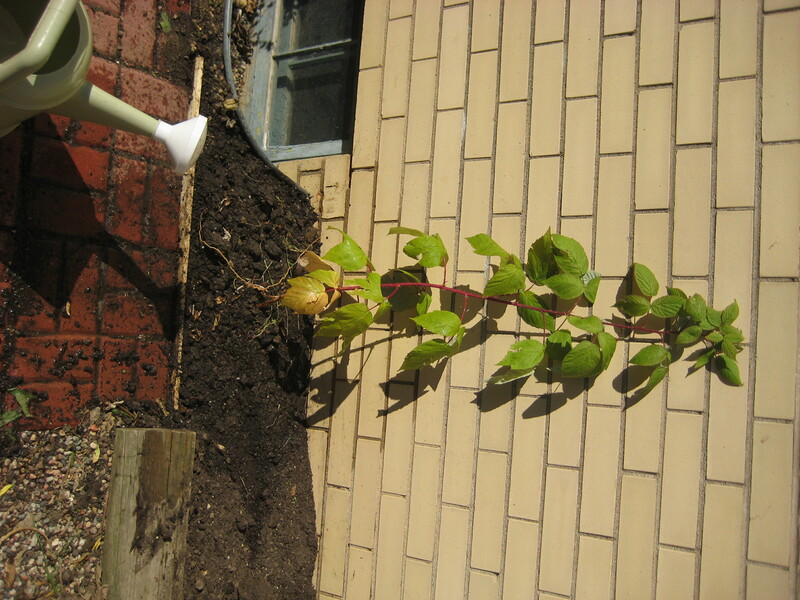 I was able to plant a raspberry cane from my in-laws in the spot that I removed a ground cherry plant from. Hoping that does well next year. 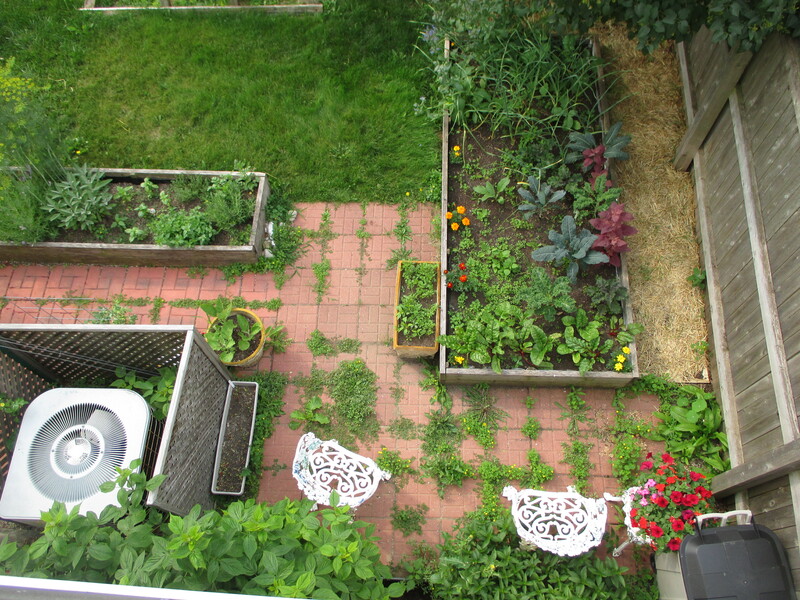 In addition, I need to start planning a strategy for my strawberries and lemon tree. Those items need to be protected from the elements. So that’s where I’m at. I’m praying that God will fully restore my health soon–my family really needs me. And my garden needs me too. 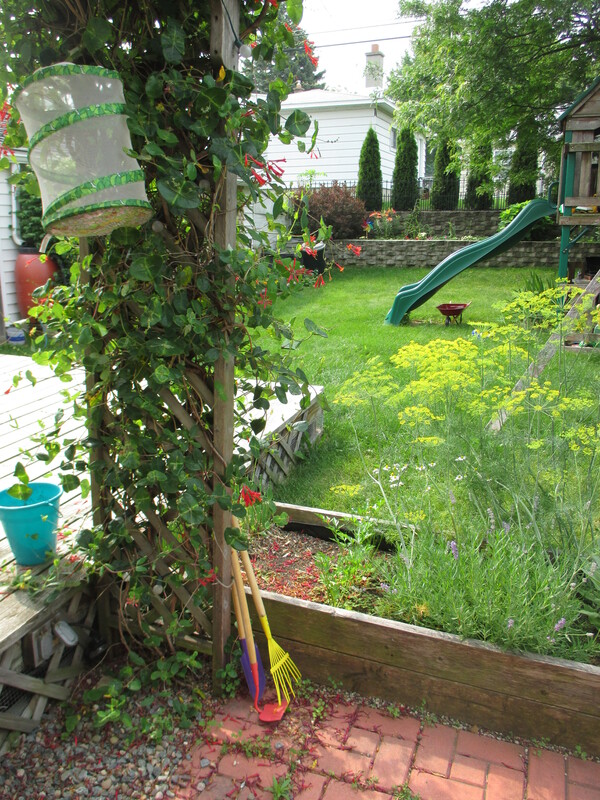 And I’m thankful that most things in the garden can take a little neglect. I appreciate that! 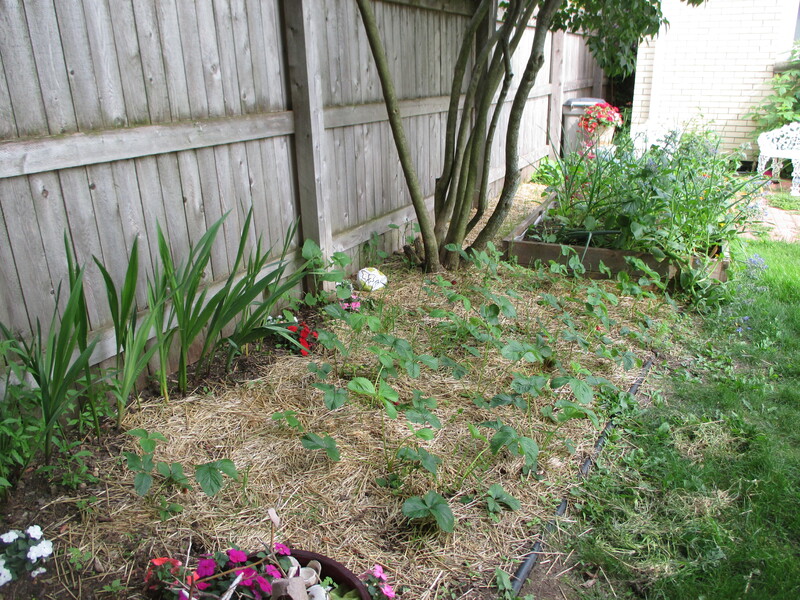 Here I've just watered in my raspberry plant. 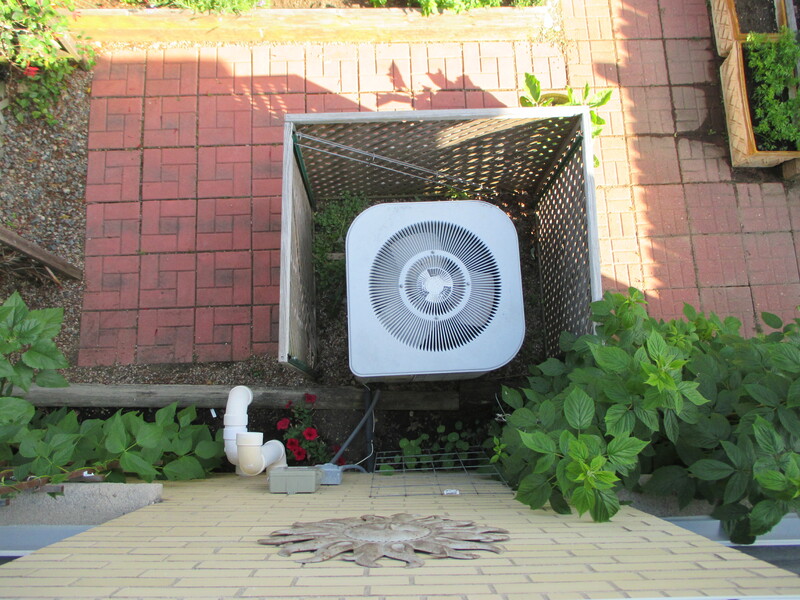 This was the only spot I could find for this, hoping it copes with being next to the house.